Two shafts were sunk here between 1922 and 1924, to a depth of 630 yards; both shafts had a finished diameter of 21ft, with production beginning in 1926, making Taff Merthyr one of the last to be sunk in South Wales under private ownership. 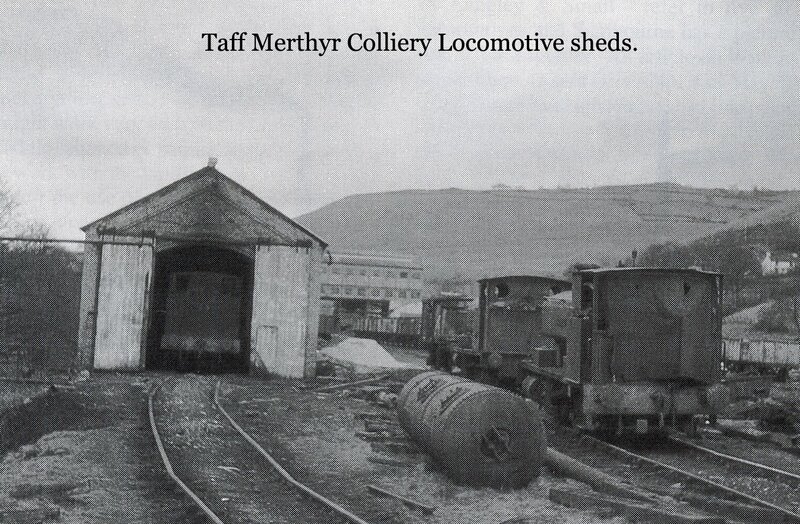 The pit was owned by the Powell Duffryn and Ocean coal companies. 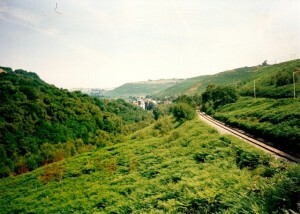 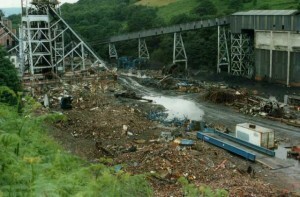 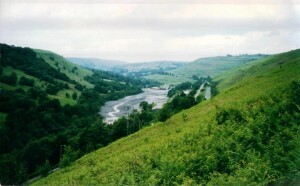 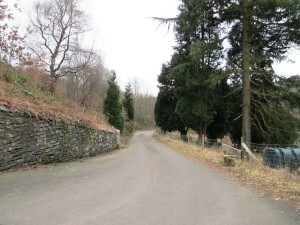 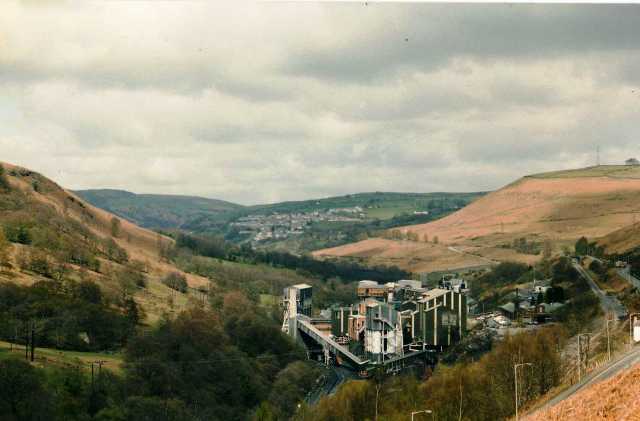 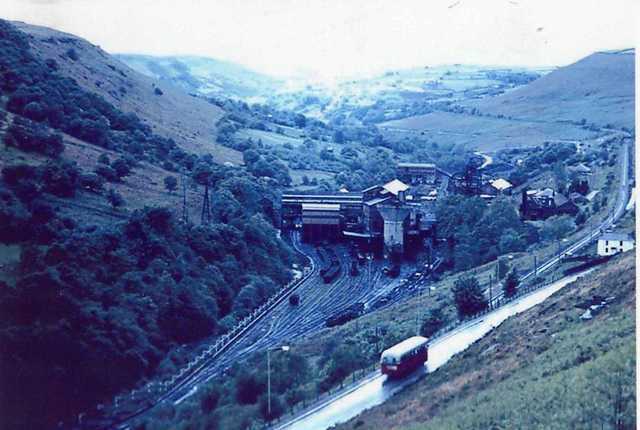 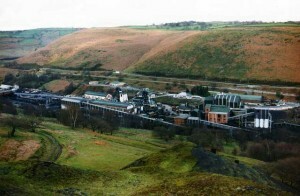 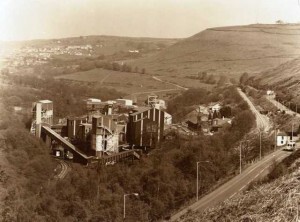 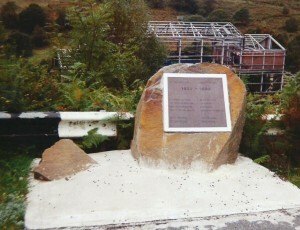 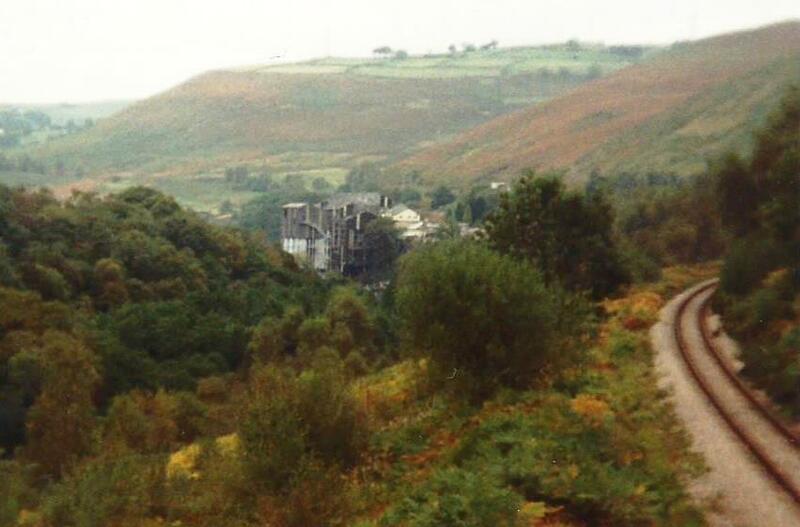 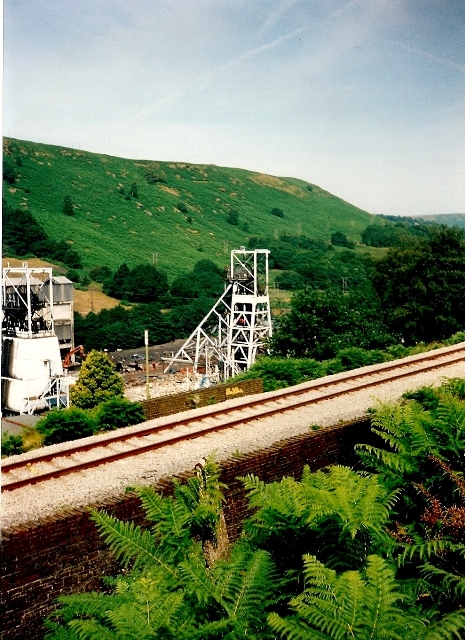 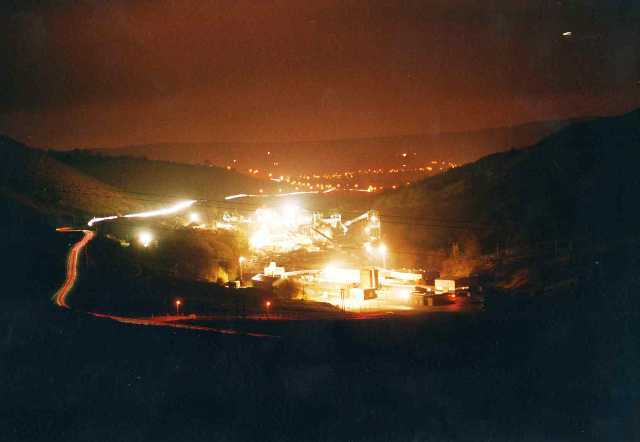 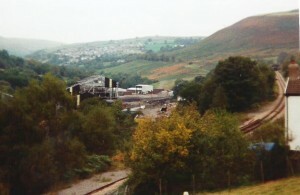 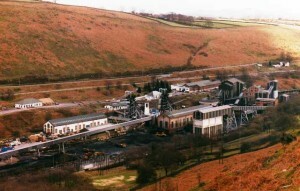 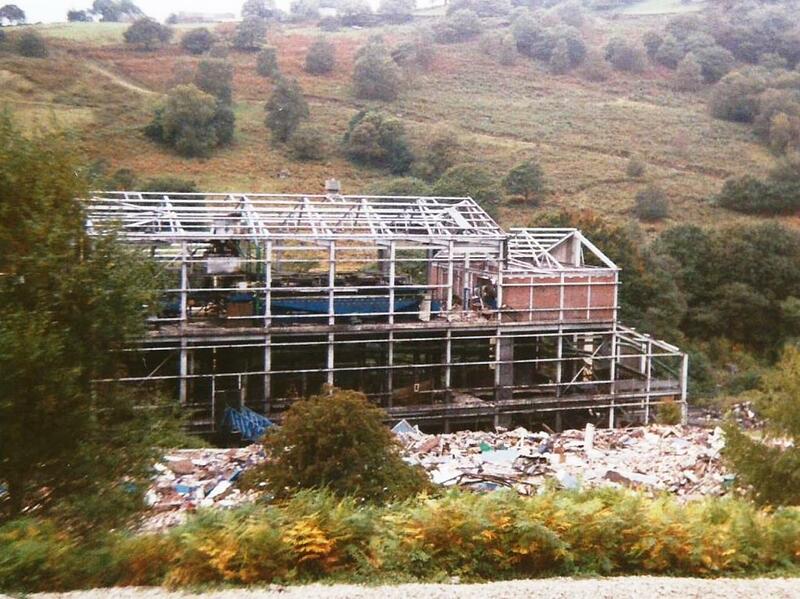 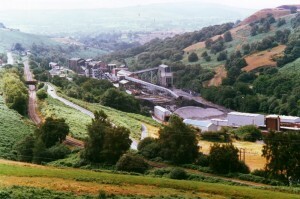 The colliery was erected deep in the valley between Trelewis and Bedlinog. 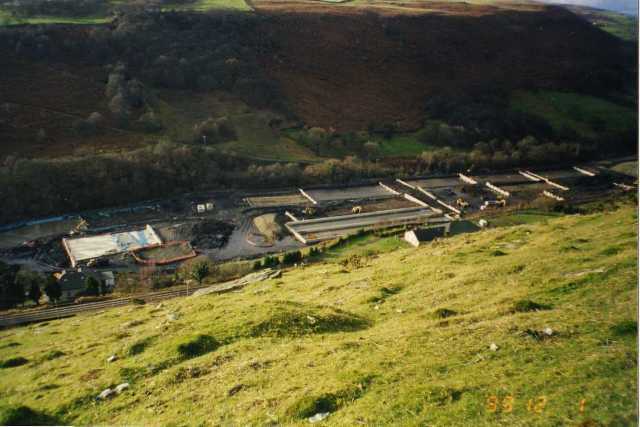 The Bedlinog mines were closing at this time so it was a relief to the miners there that they could find work at the new mine just half a mile down the road. 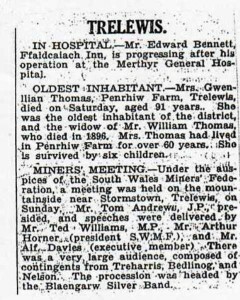 Men would also be employed from nearby Trelewis and with that in mind the village was extended by the building of housing in the new Taff Bargoed garden village, more commonly known as “Storm town” due to its elevated position on the side of a hill. 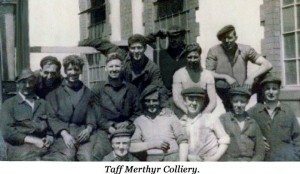 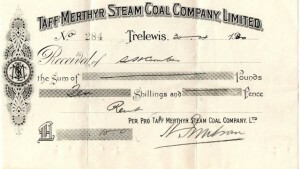 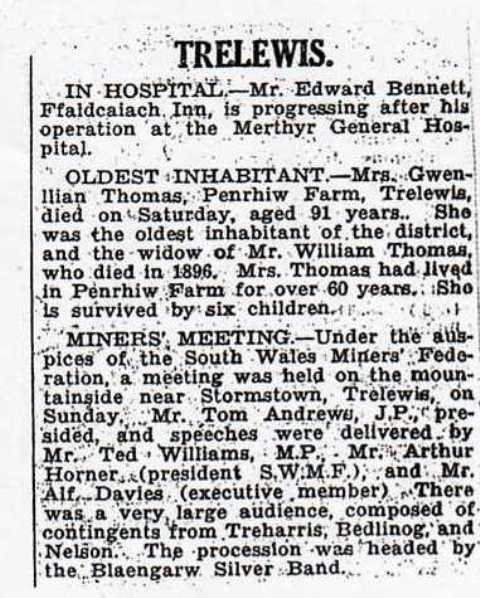 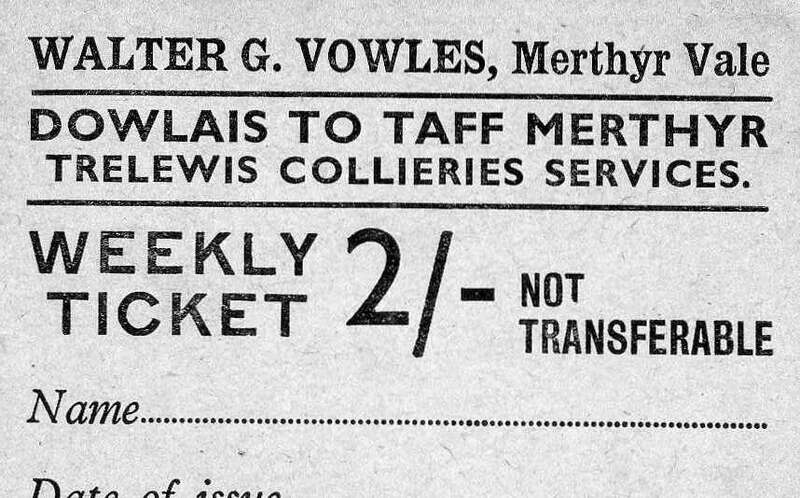 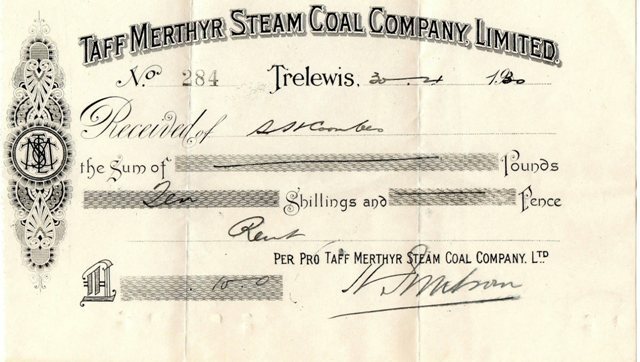 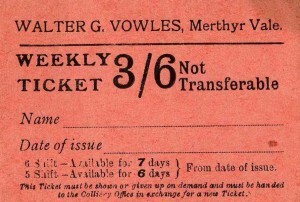 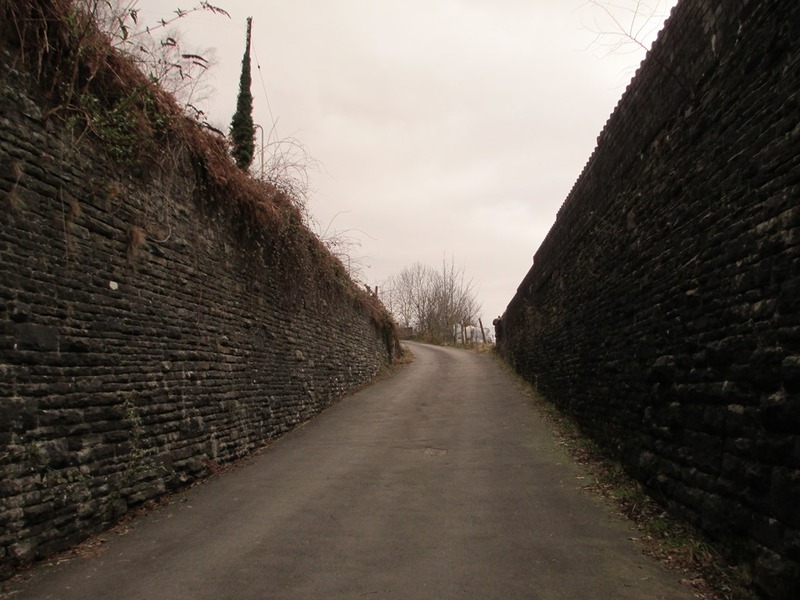 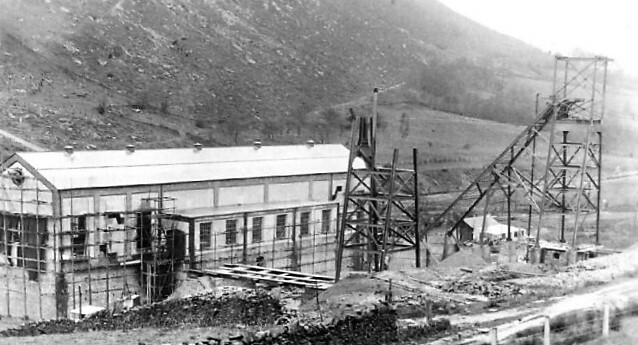 Treharris men also found work here and the colliery employed 1,600 men by the early thirties. 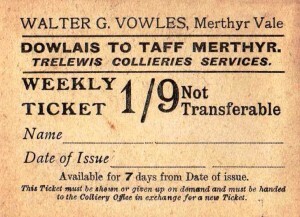 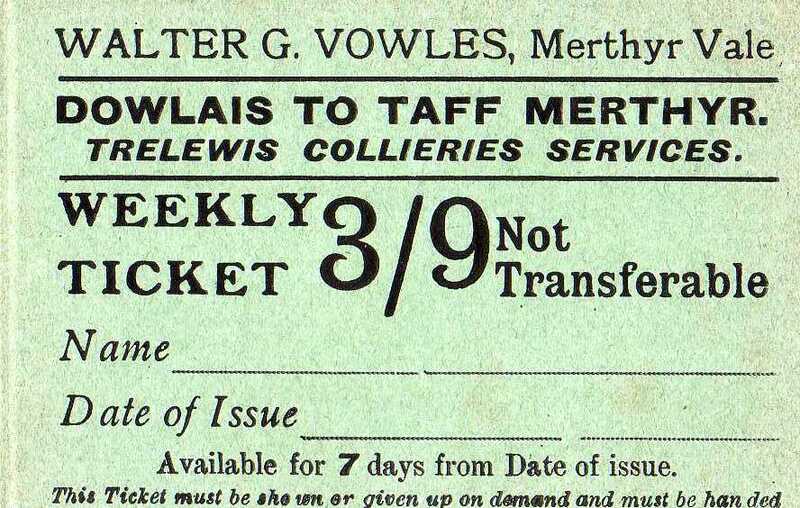 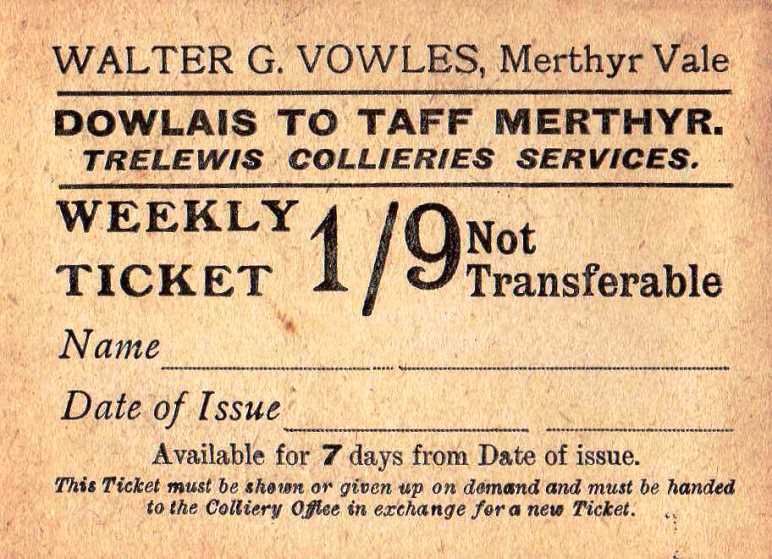 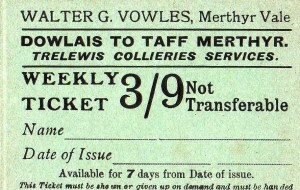 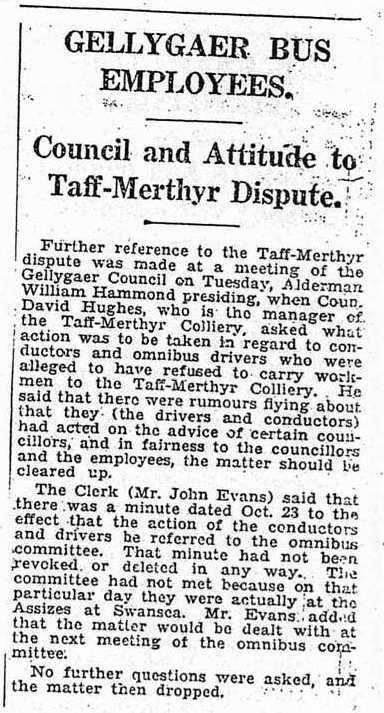 There was a small passenger train station built to bring men to work and there were buses run by Gelligaer council to bring workers from further afield. 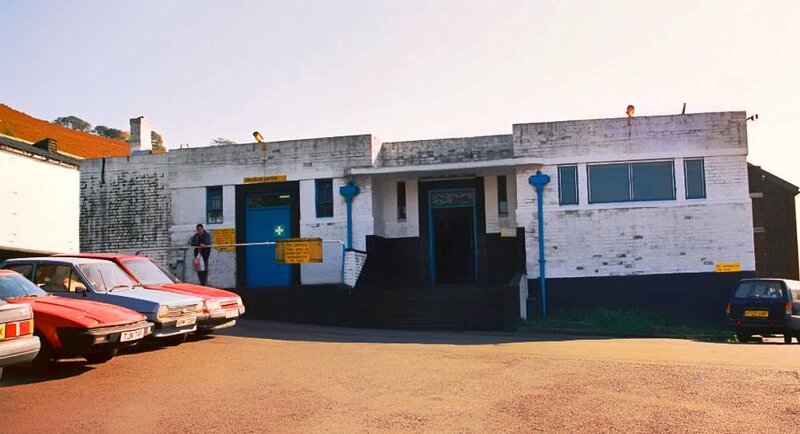 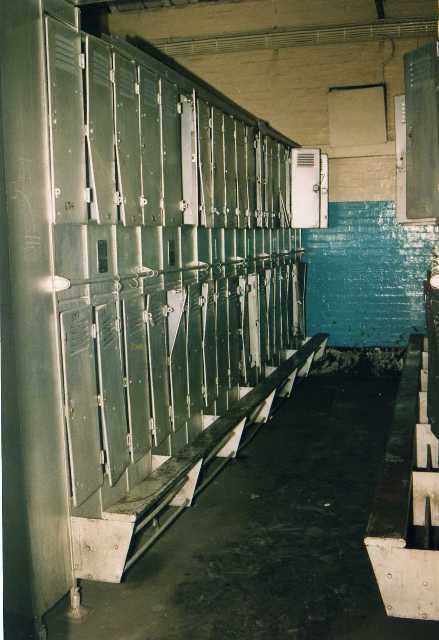 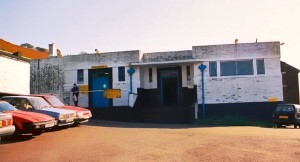 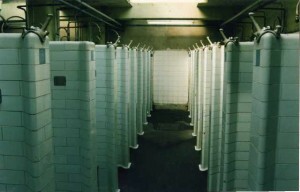 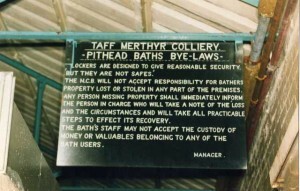 It had a quite modern pit head baths built and they were opened by W. E. Jayne JP IN May of 1934. 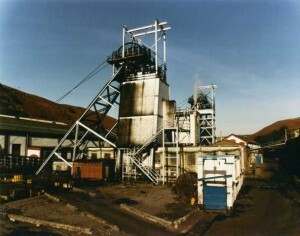 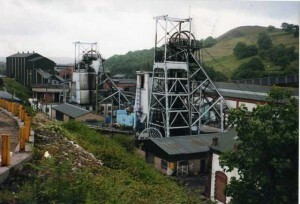 The pit began production soon after the general strike of 1926, and it was to become one of the most militant of all the south Wales collieries. 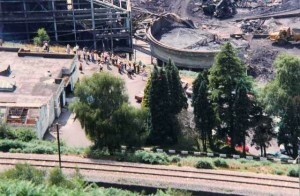 The newly sunk pit became a flashpoint of bitterness and unrest. 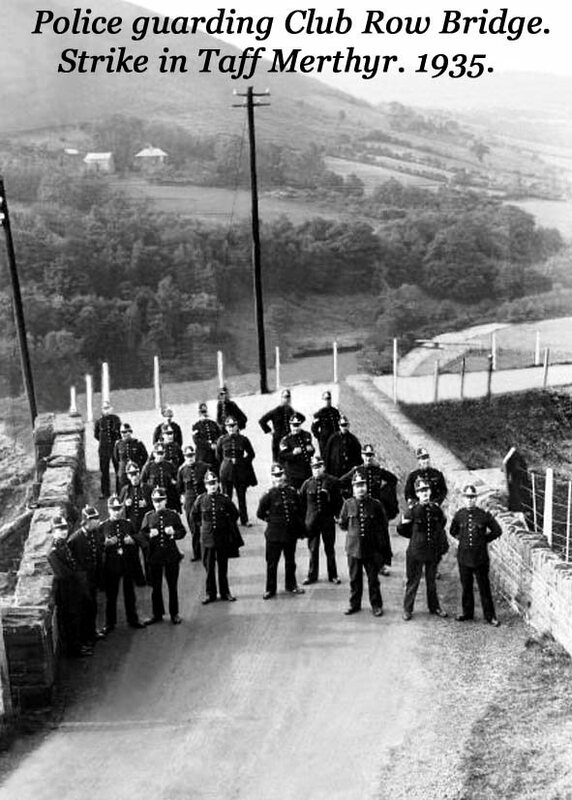 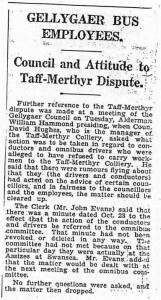 The strikes were bitter and men fought against their fellow workmen, Many meetings were held, some in secret and many police were brought to the area Stay down strikes were held and in one incident, the owners sent strike breakers down the mine, under police protection and they fought with the Federation men who were holding the strike and forced them to surrender, over 40 men were injured in the battle. 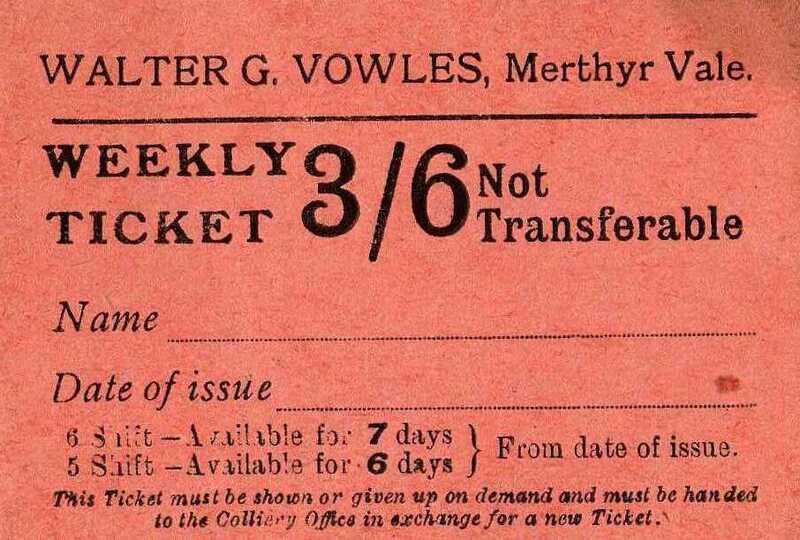 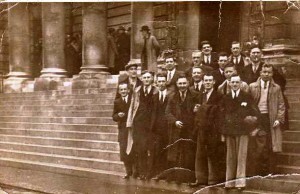 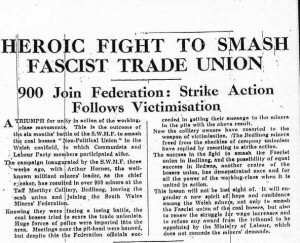 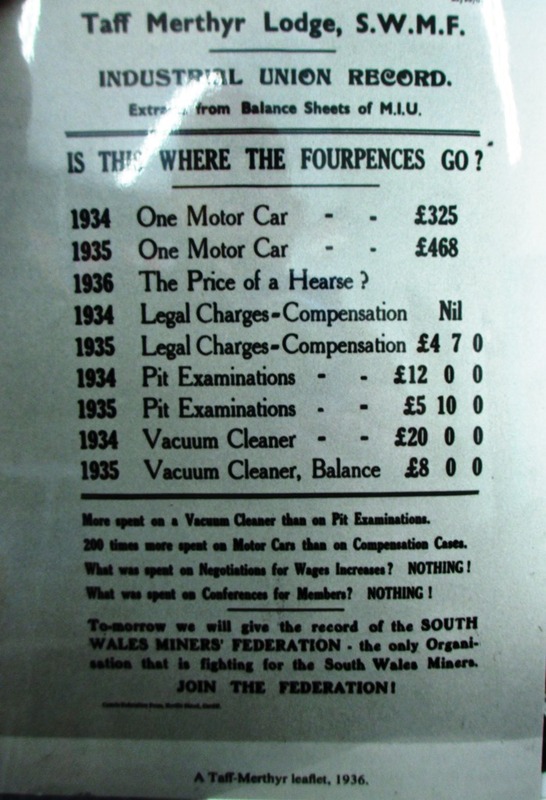 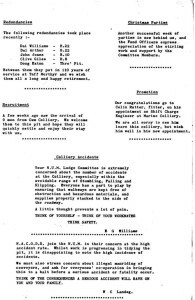 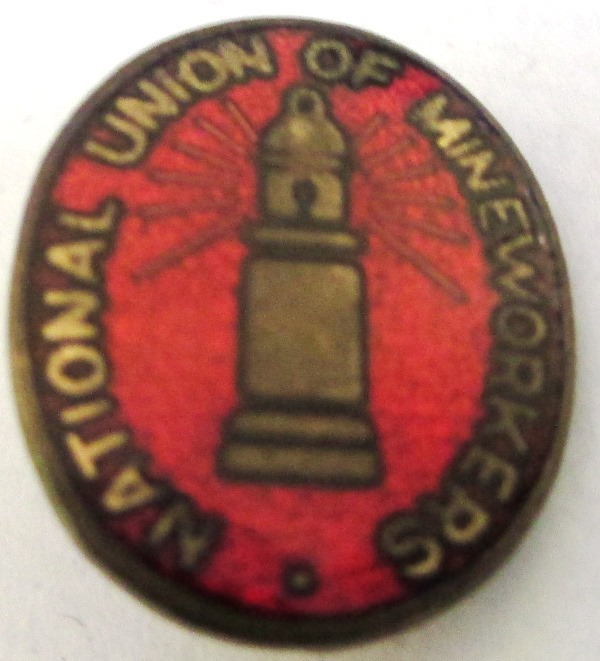 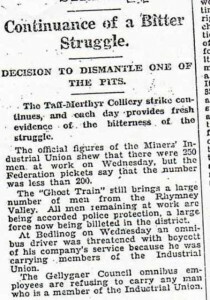 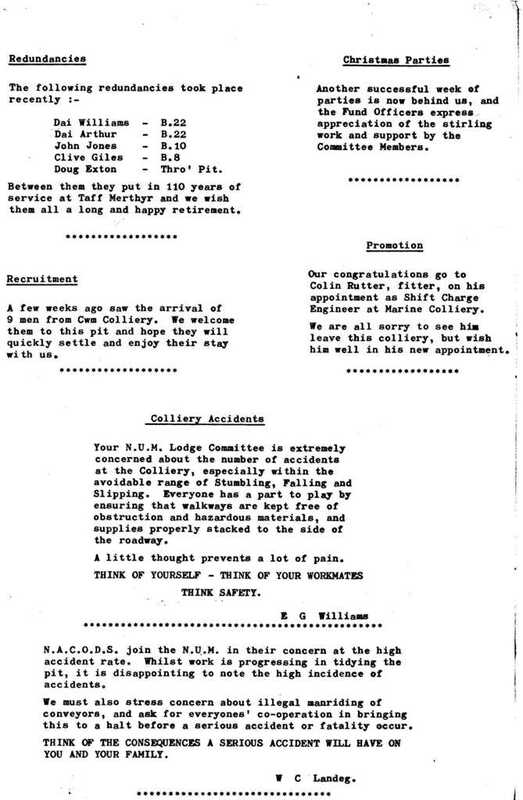 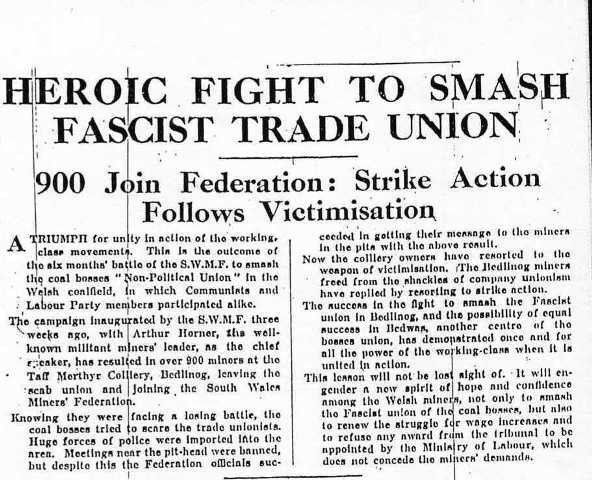 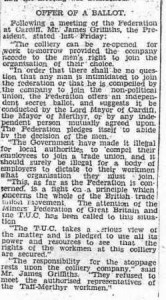 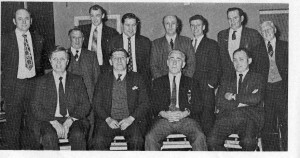 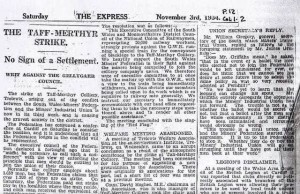 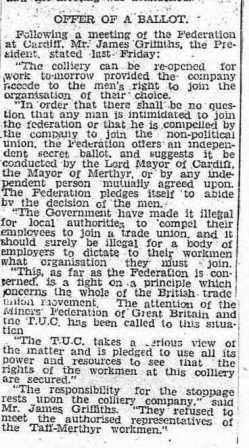 It was a difficult time for the colliery and its men but by the end of the thirties Company unionism was defeated and miners Federation was able to gain the initiative in the direction of the south Wales coalfield society. 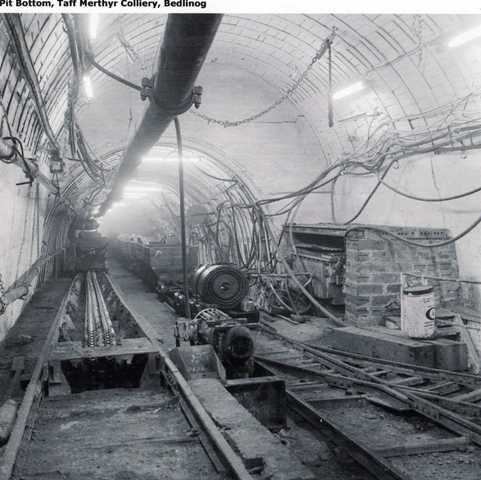 It was a large mine which employed 1,380 men underground and 195 men on the surface by 1936, producing an annual output of 600,000 tons of steam coal per year. 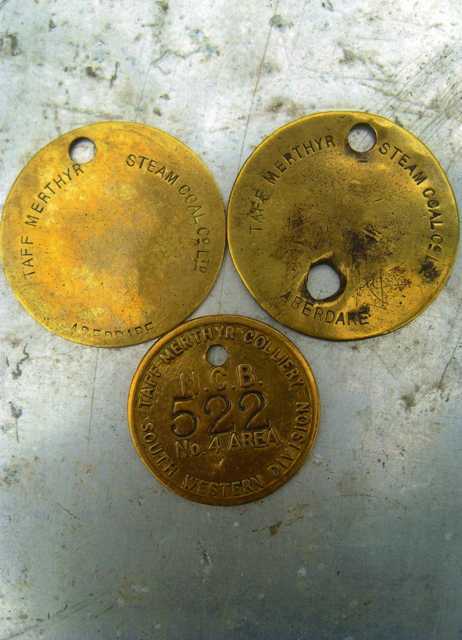 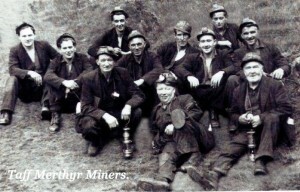 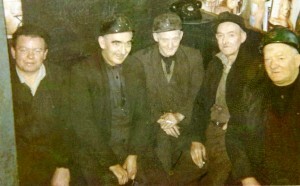 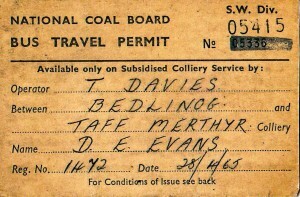 Bevin boys were employed at the colliery during the war. 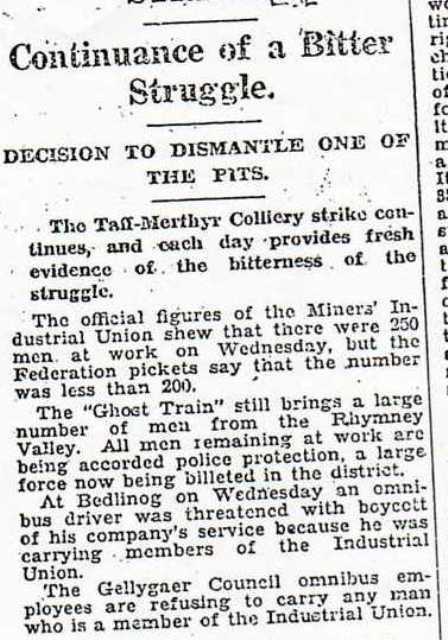 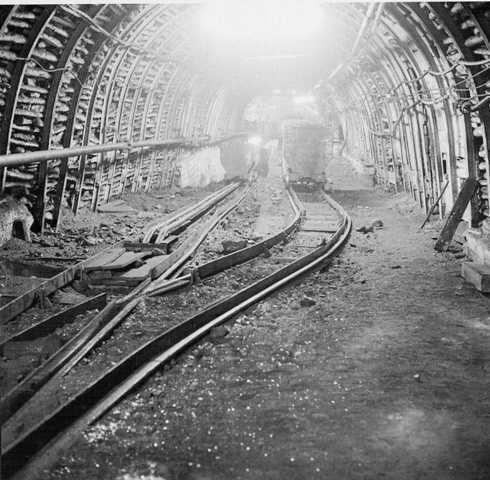 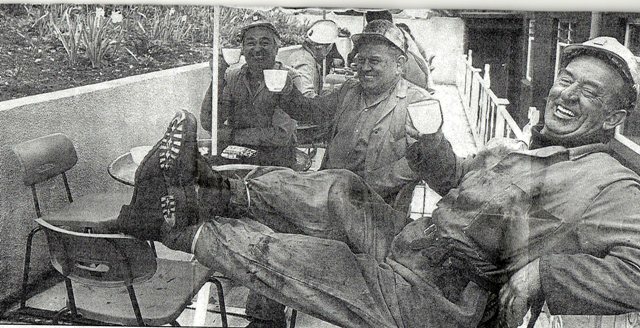 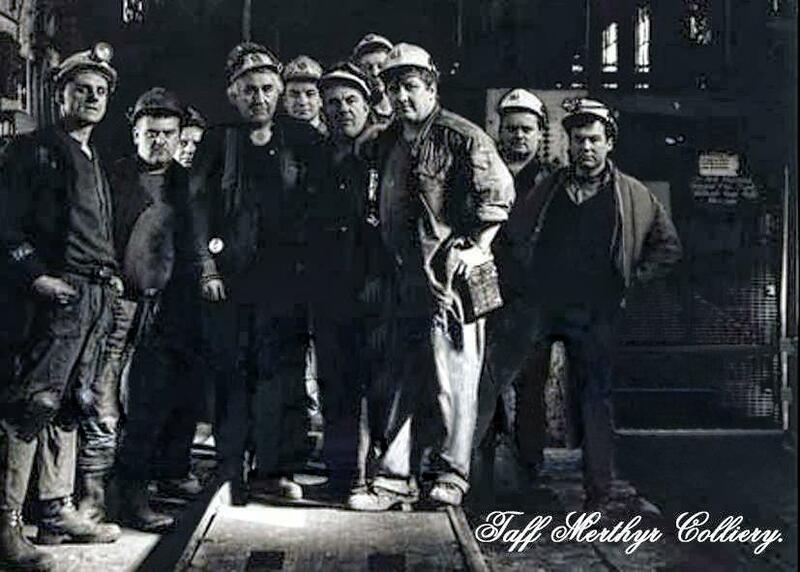 In 1945 it was reported that 1,119 men were employed at the colliery, modern equipment and techniques meant that the collieries employed less men as the years went by. 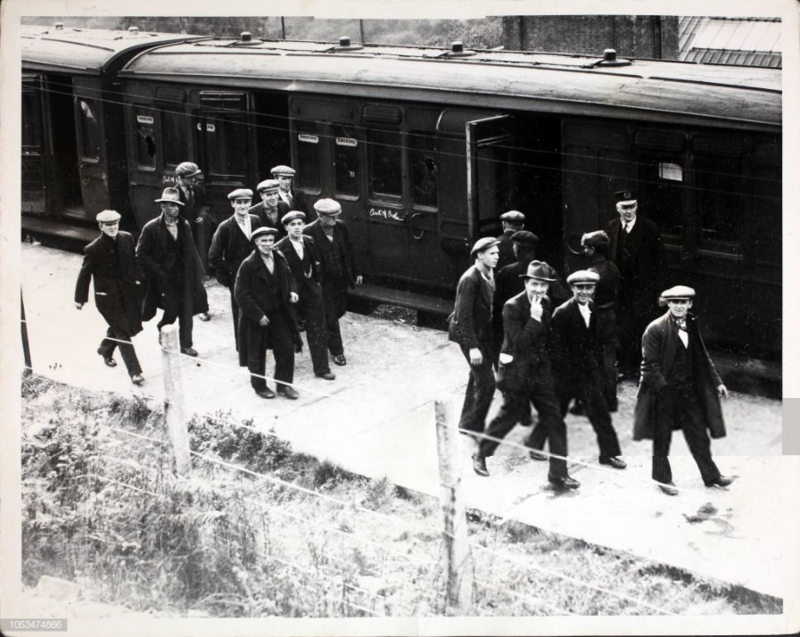 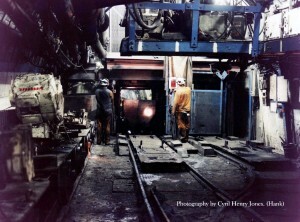 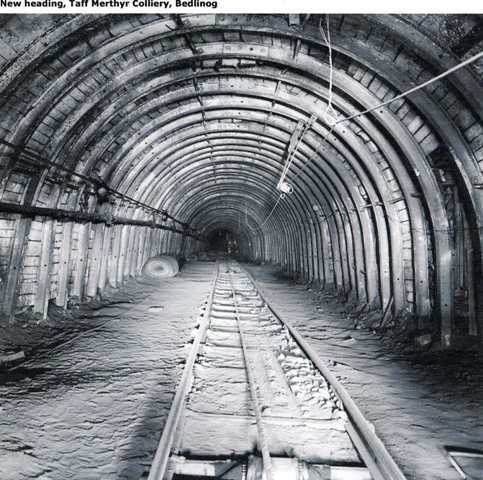 Following Nationalisation in 1947 the colliery employed 153 men on the surface and 874 underground. 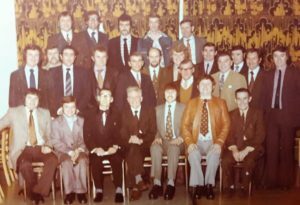 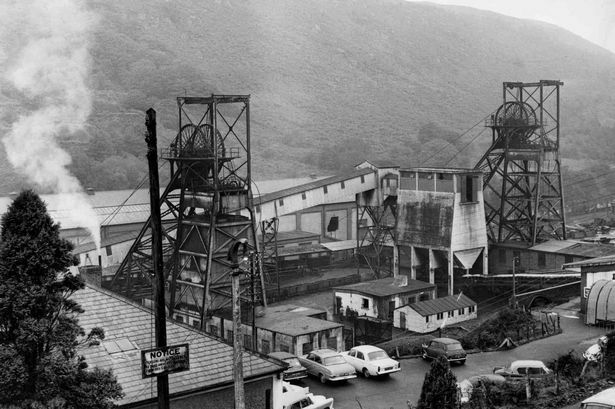 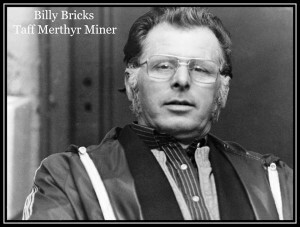 On January 9th 1972 miners from all over Britain came out on strike over a pay dispute, it was the first major strike since Nationalisation.50 collieries including Taff Merthyr were closed and the strike went on until the miners returned to work on February 28, following a ballot. 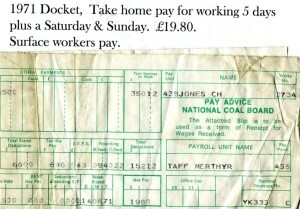 The miners had won a pay increase that made them the almost the highest paid of the working classes and it also proved how important coal was to the British economy. 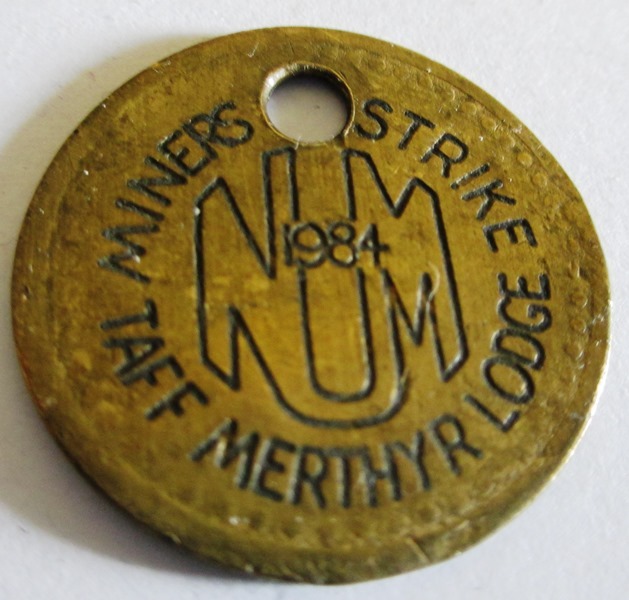 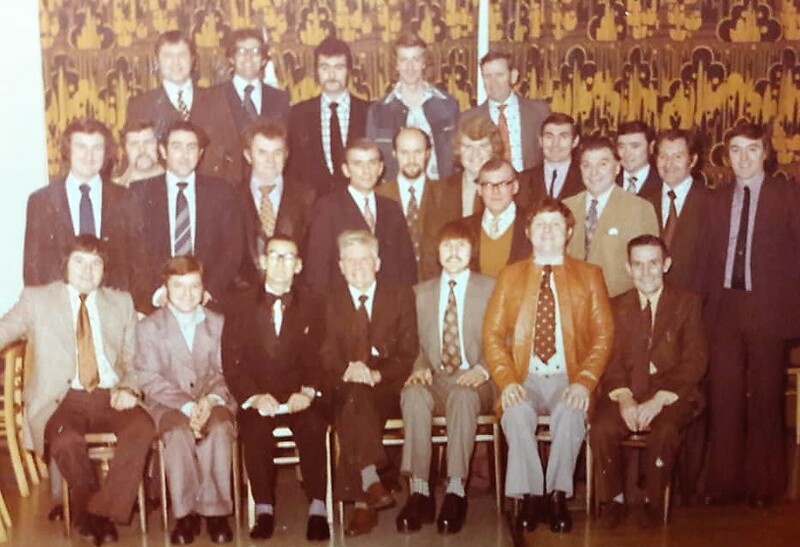 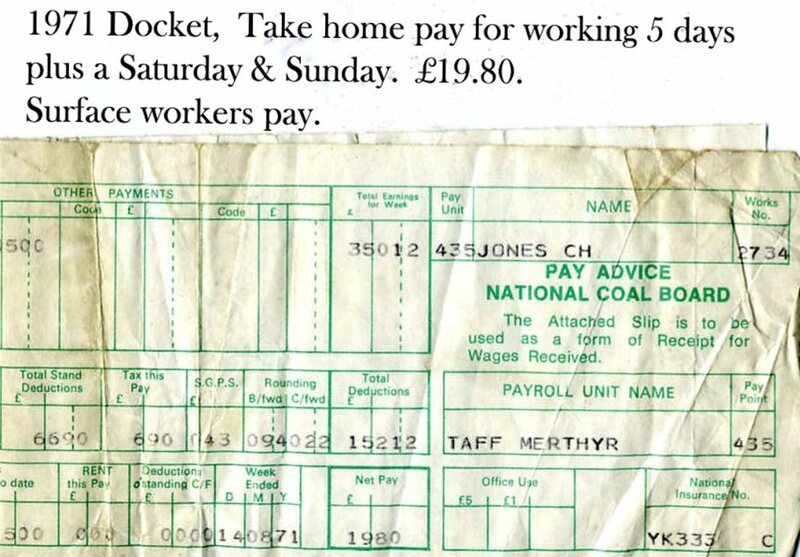 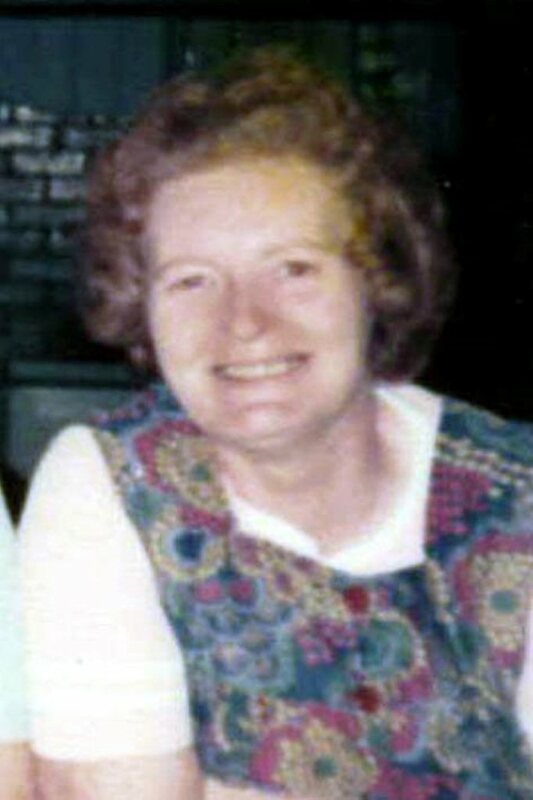 Late in 1973 the miners once again found themselves lagging behind other workers in the wages department and once again Industrial action was threatened by the National Union of mineworkers, on February 9, 1974, the Taff Merthyr miners once again were on strike over pay. 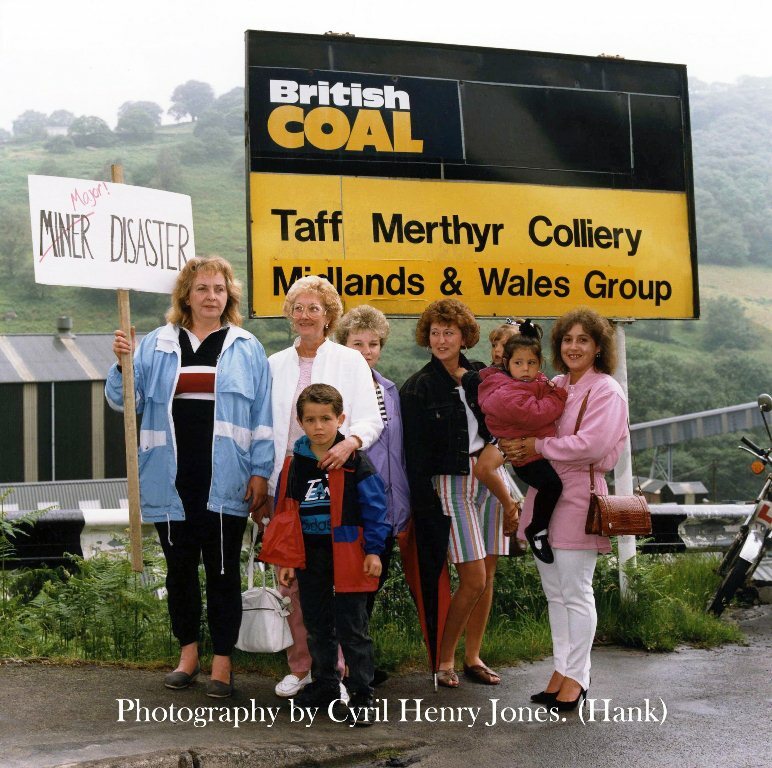 This time the prime minister, Mr Edward Heath decided to fight back and called a general election to show that the Conservatives had the public support against the miners…The Tories were defeated. 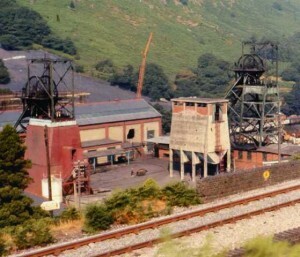 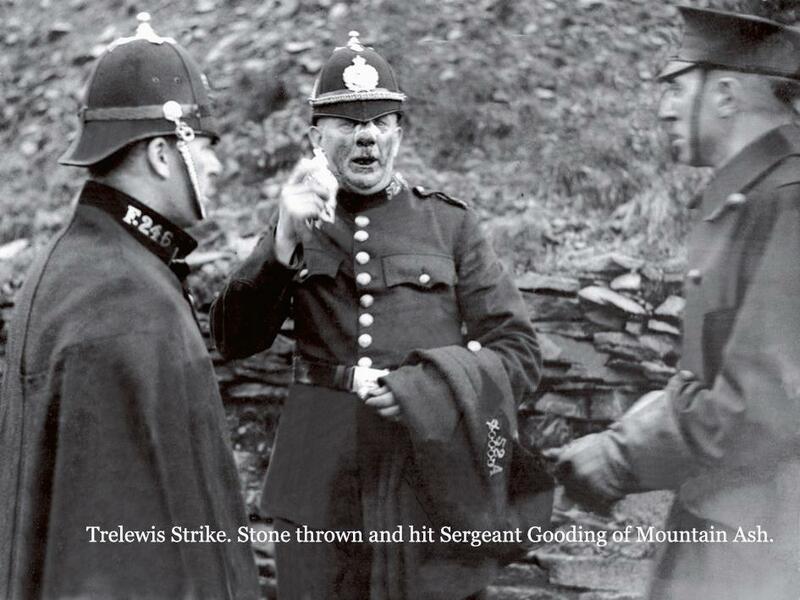 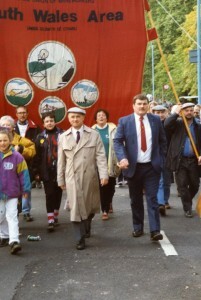 The strike ended shortly afterwards when the new labour government reached a deal with the miners. 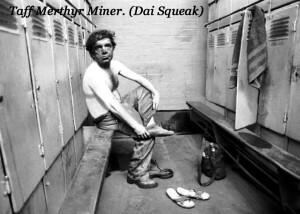 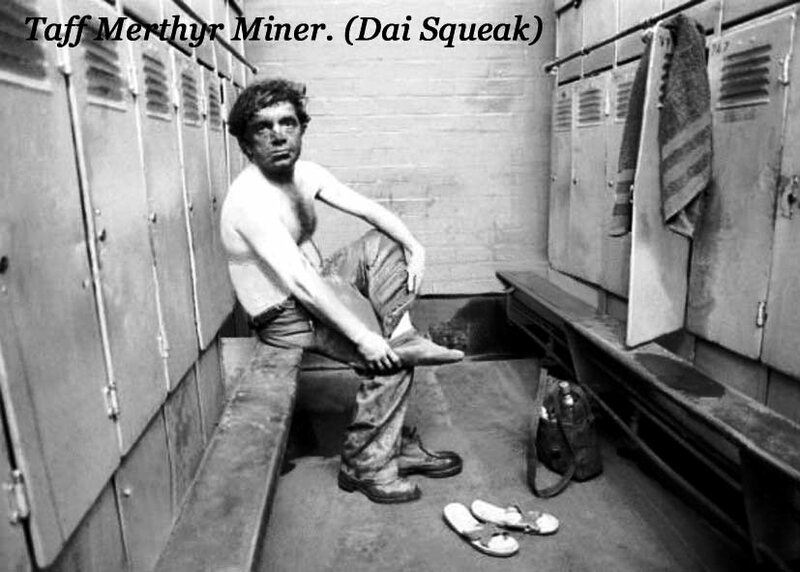 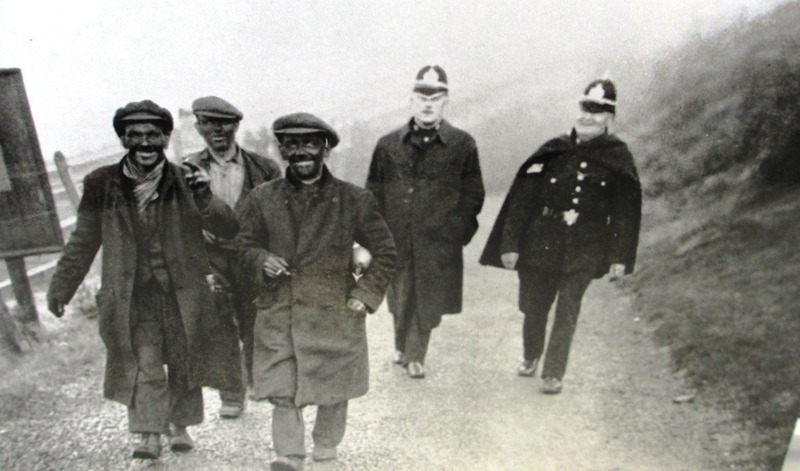 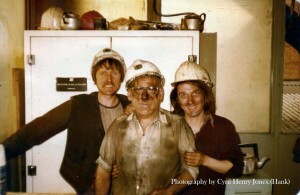 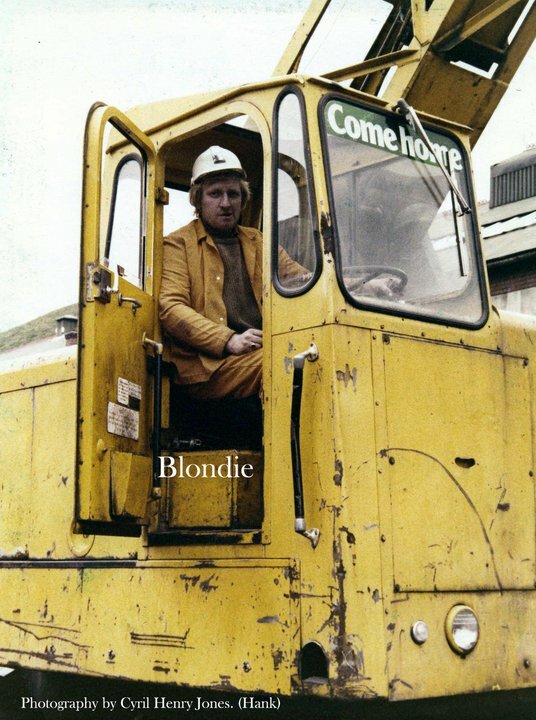 The mineworkers at Taff Merthyr returned to work and were delighted to hear that the new secretary of state for employment, Michael Foot had also agreed to implement a compensation deal for pneumoconiosis sufferers and new superannuation scheme which commenced the following year in 1975. 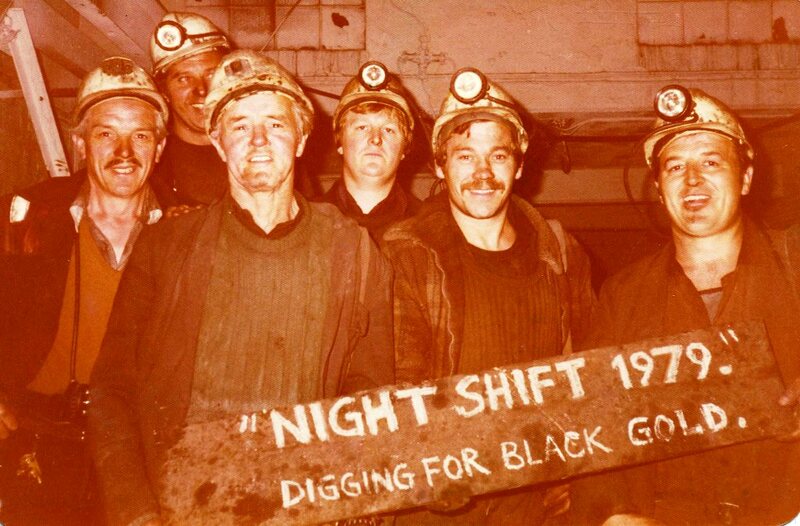 It was a sweet victory for the miners but Margaret Thatcher was part of the defeated Tory party and she would be powerful enemy of the miners ten years later. 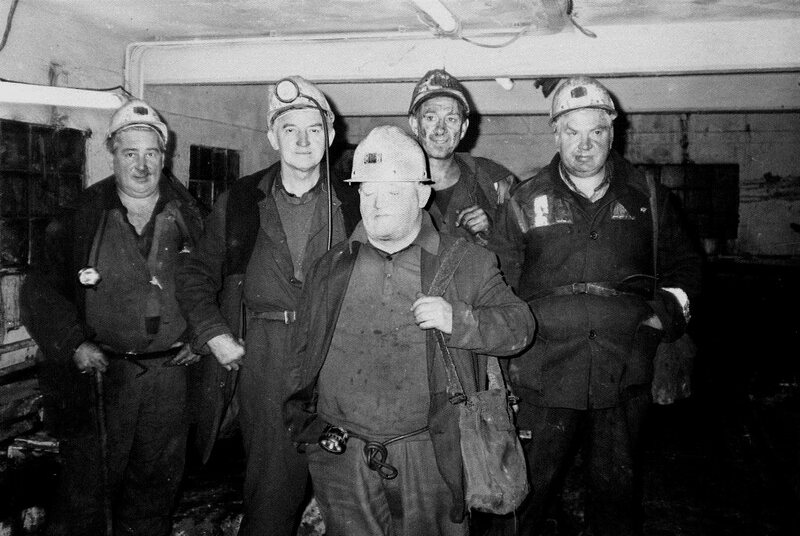 During the early seventies, 735 men were employed and they produced 340,000 tons of coal annually from the seven feet coal seam. 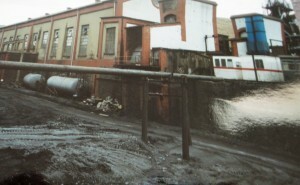 The Gellideg seams were also going to be developed. 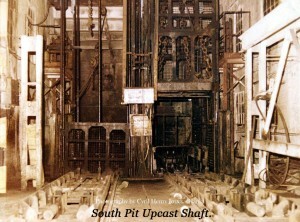 The Up cast shaft was made deeper in 1974 to reach the five feet Gellideg seam, this was part of a major scheme to concentrate coal winding by skips in the down cast shaft. 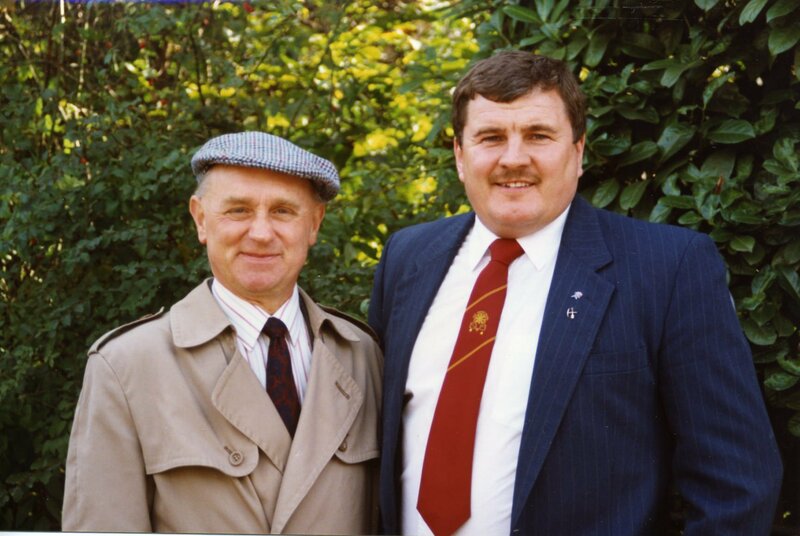 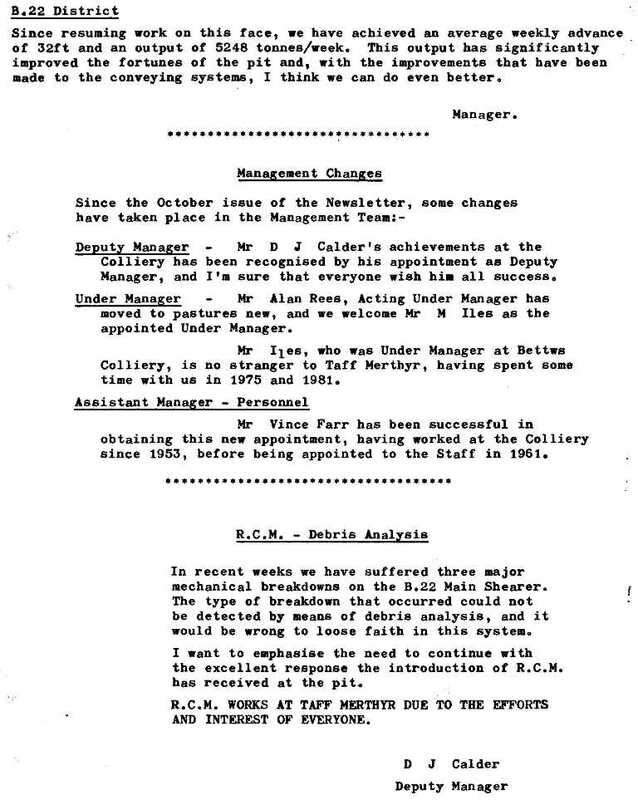 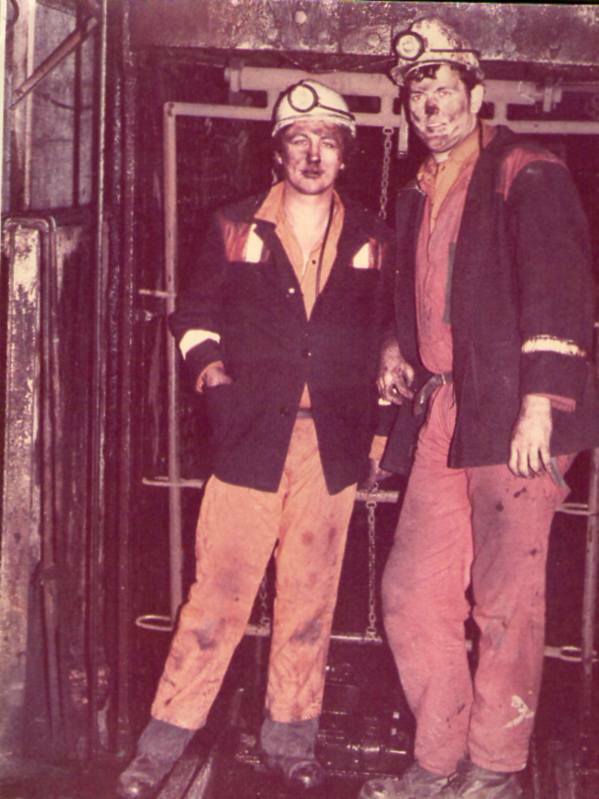 £ 8 million was invested in the colliery in the mid-seventies and the manager at the time was Mr Graham Schewitz. 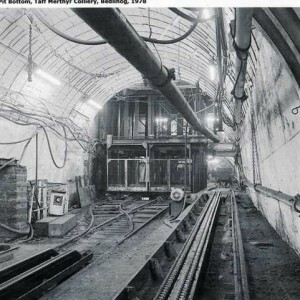 The work was completed in August 1978 and it involved deepening shafts to 640 meters and building a new coal preparation plant and MGR dispatch system. 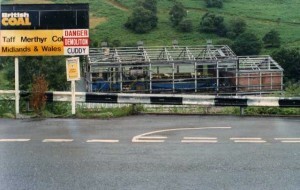 The five feet Gellideg seam would finally be abandoned in November 1988. 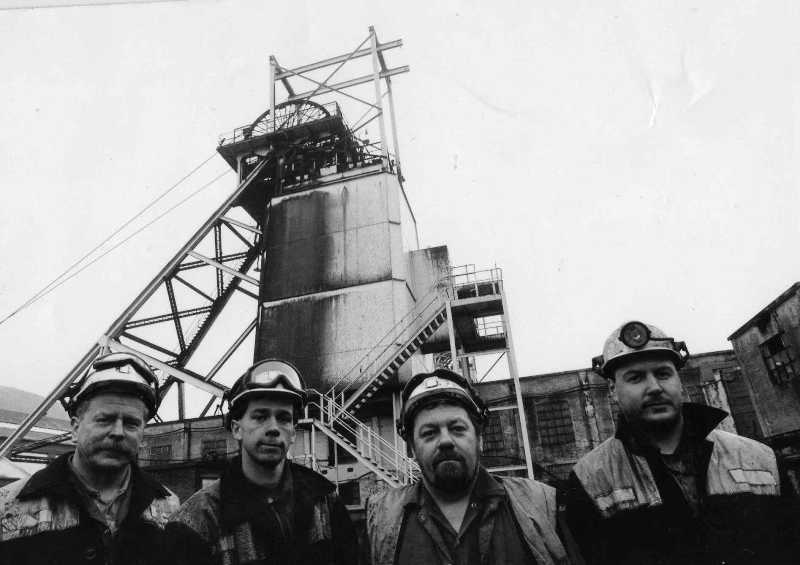 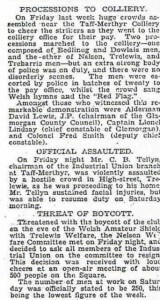 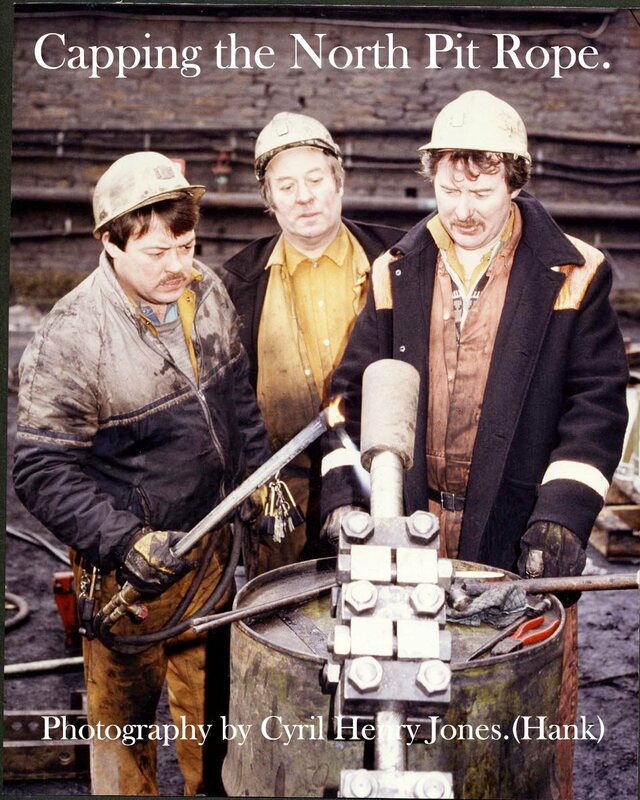 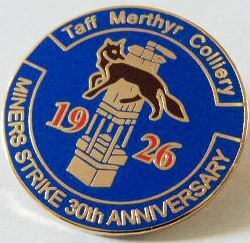 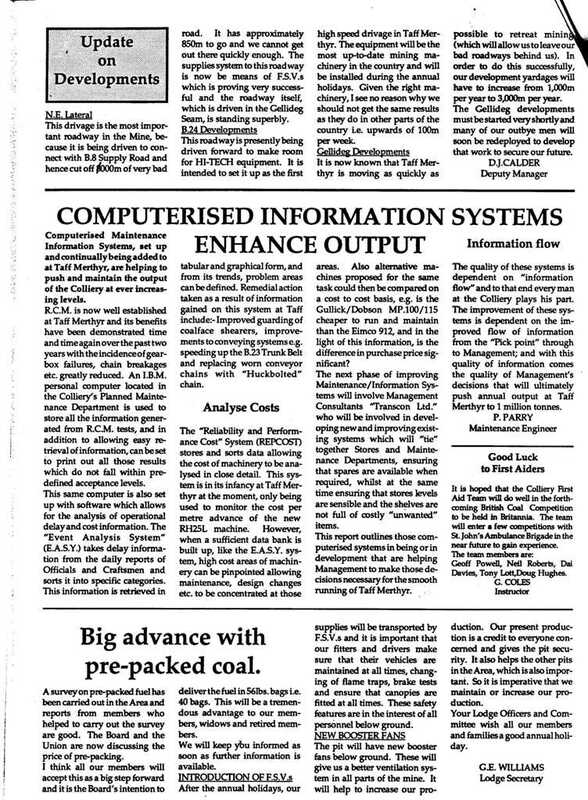 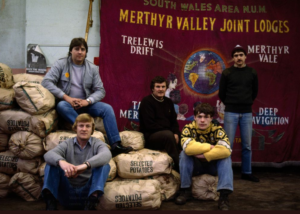 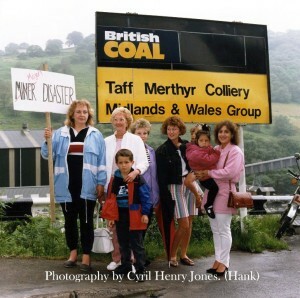 Once again in 1984 the miners of Taff Merthyr found themselves on strike, and it was to prove fatal for the colliery less than ten years later. 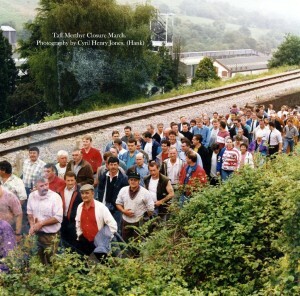 The miners stayed strong throughout the twelve long months of the strike, their wives and girlfriends formed “women in support of the miners groups” The men were often on picket duty during the strike travelling to England trying to persuade working miners to join the struggle against Margaret Thatcher’s determined and ruthless government. 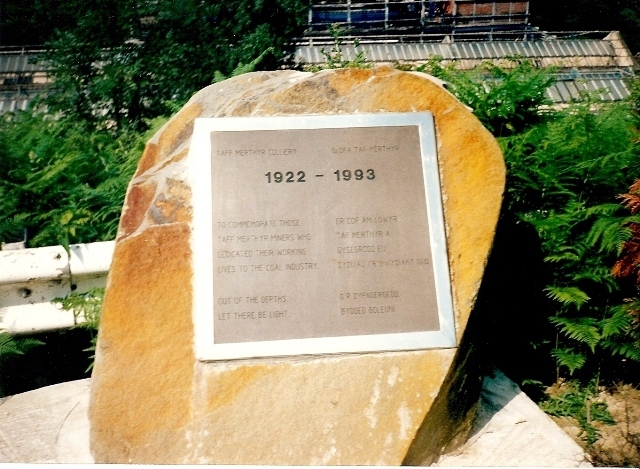 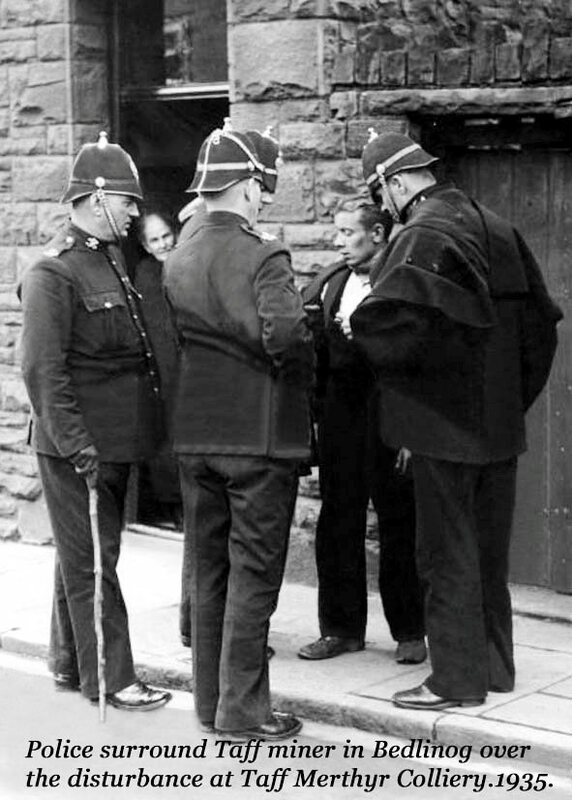 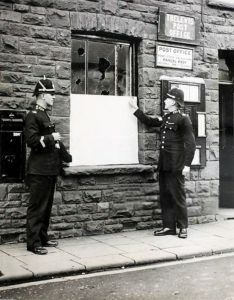 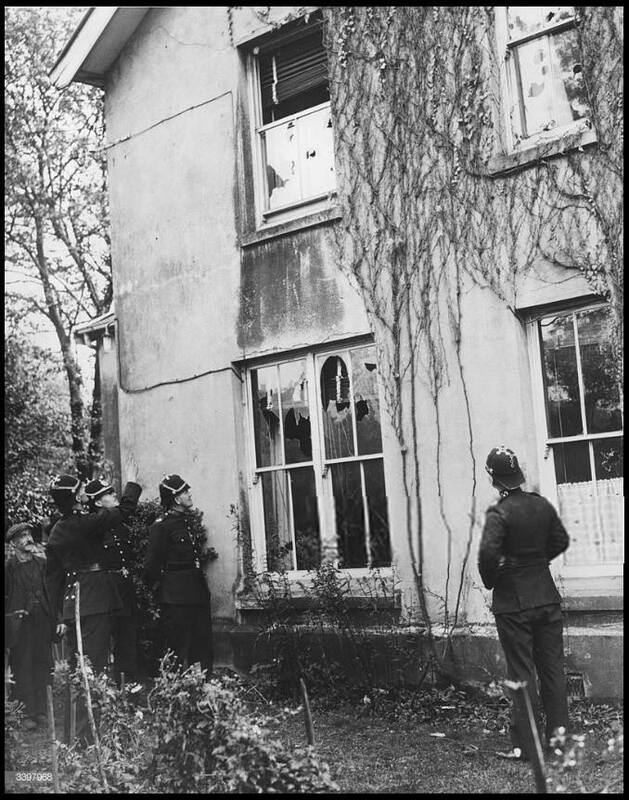 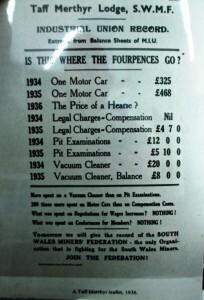 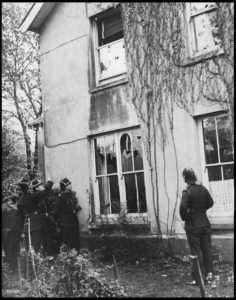 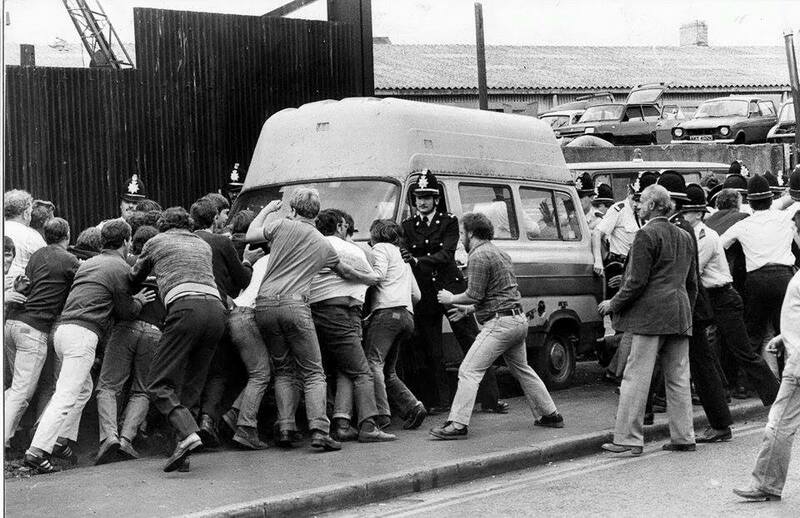 the “chilling” statistics of the dispute, including 9,808 arrests, more than 10,000 charges, 551 complaints by miners against the police, 1,392 police officers injured, three murder charges, 682 miners sacked for “violence and sabotage” while the cost of the police operation alone was put at £200m. 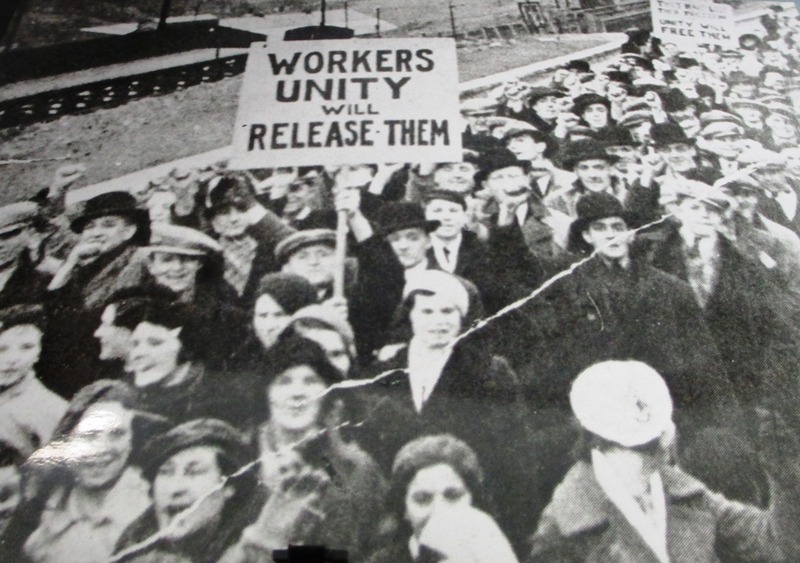 Around 20,000 people were injured or hospitalized, 200 people served time in prison or custody, two were killed on picket lines and three died digging for coal during the winter. 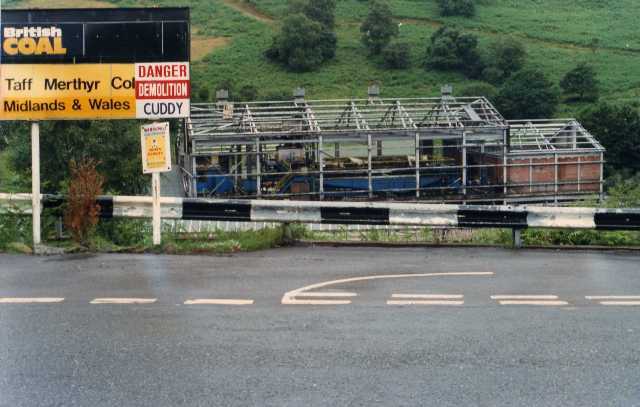 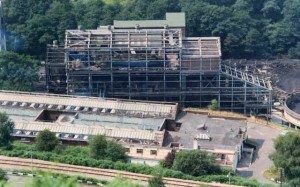 Yet in 1992 this colliery was amongst 31 pits scheduled for closure, despite protests and the widely held opinion that there were at least 10 years reserves of coal. 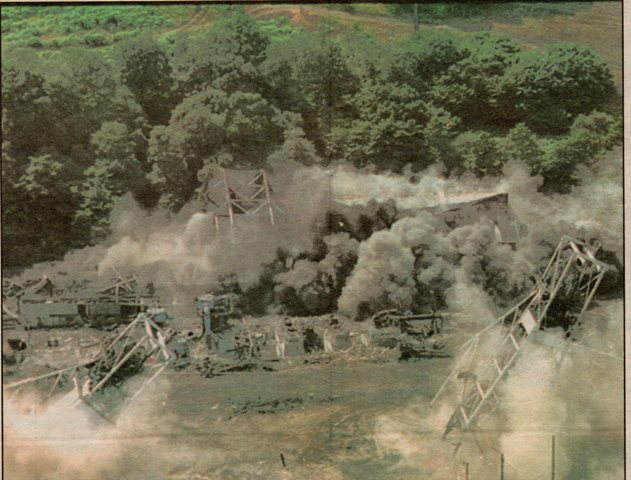 Safety and maintenance work continued during a review, but it seemed inevitable that 368 coal workers would lose their livelihood when tons of rubble and other material for filling the shafts were delivered before the review was even concluded. 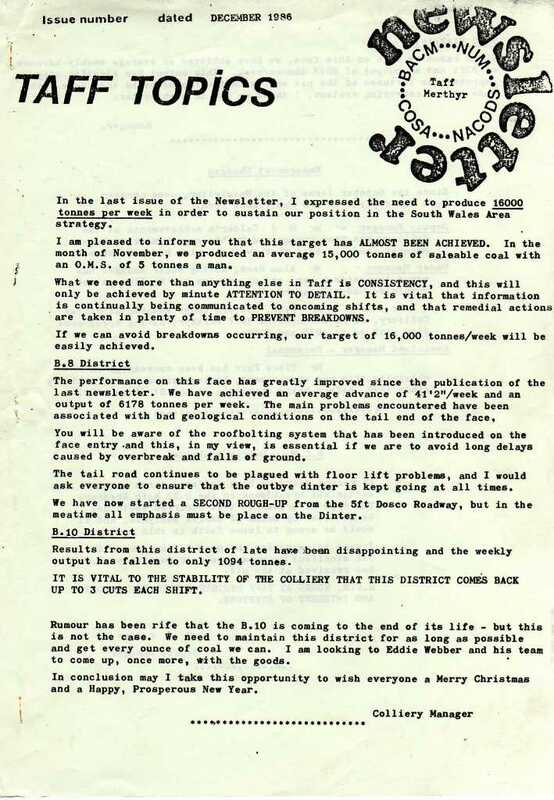 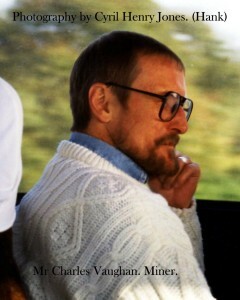 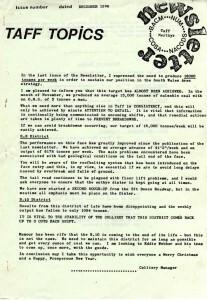 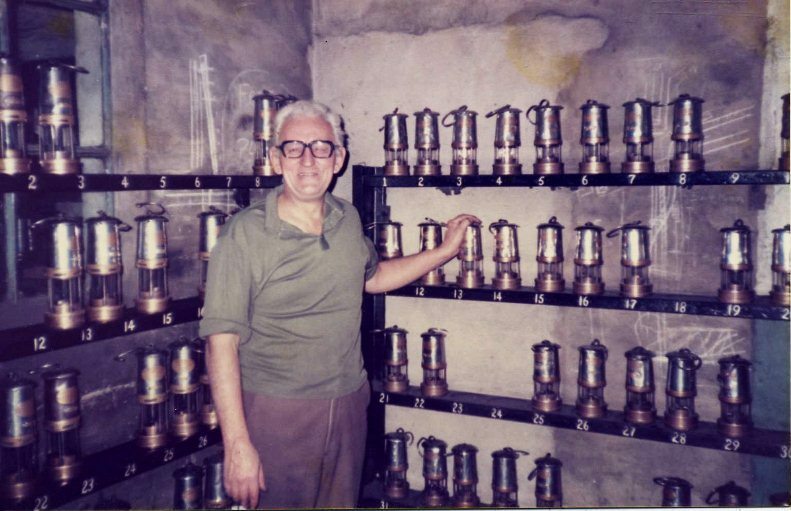 The final shift was worked on 11 June 1993. 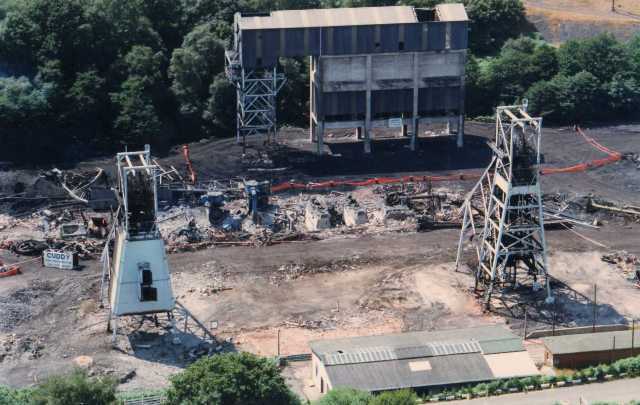 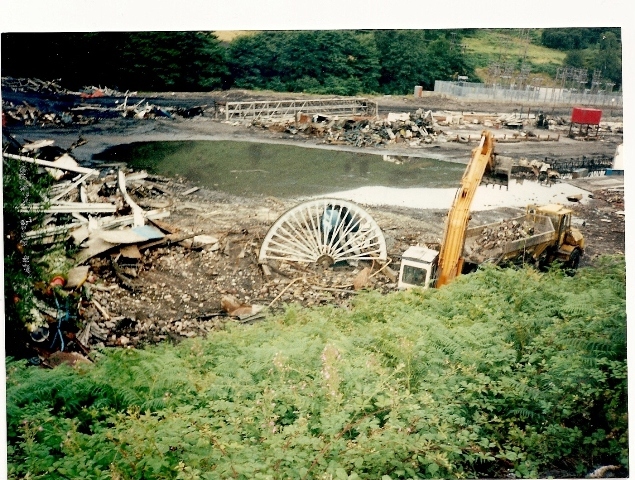 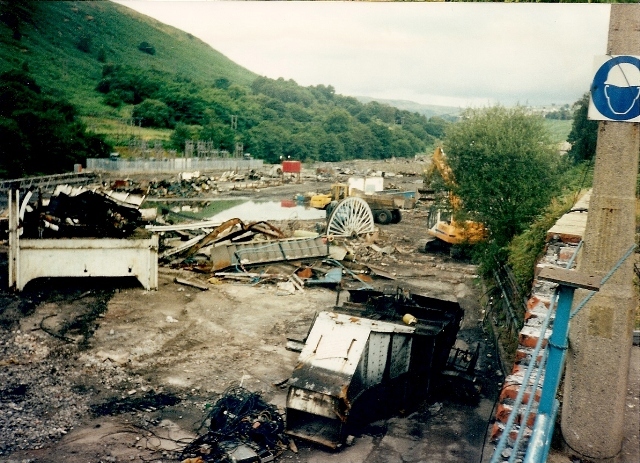 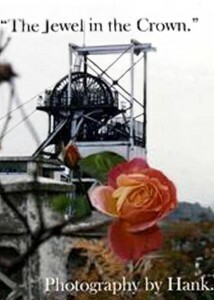 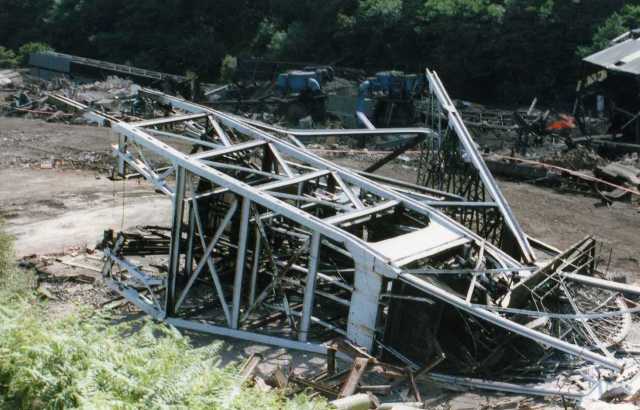 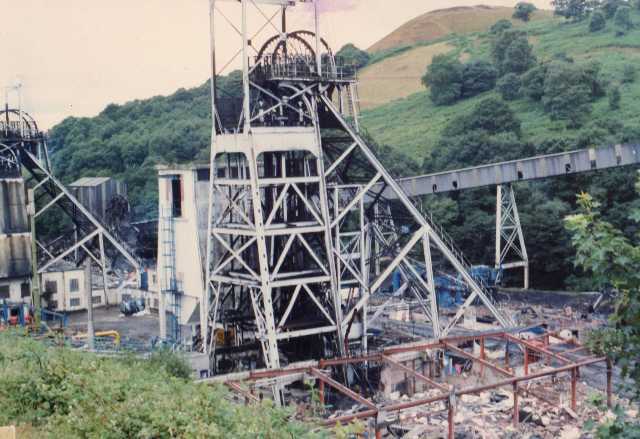 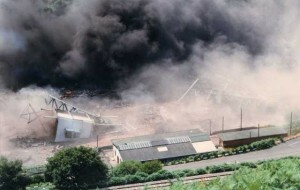 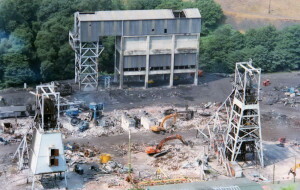 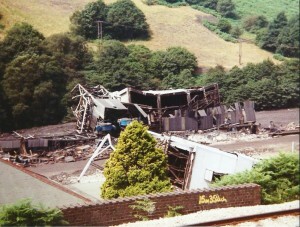 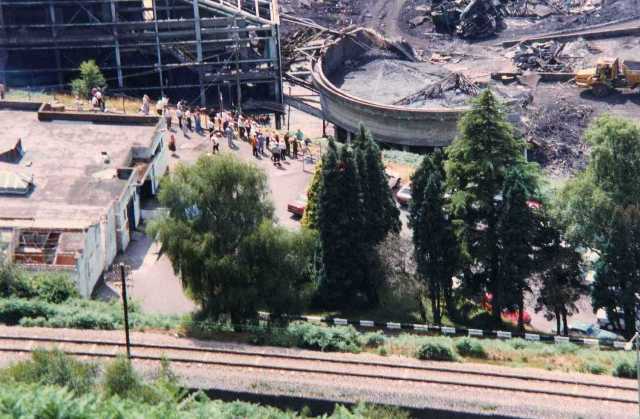 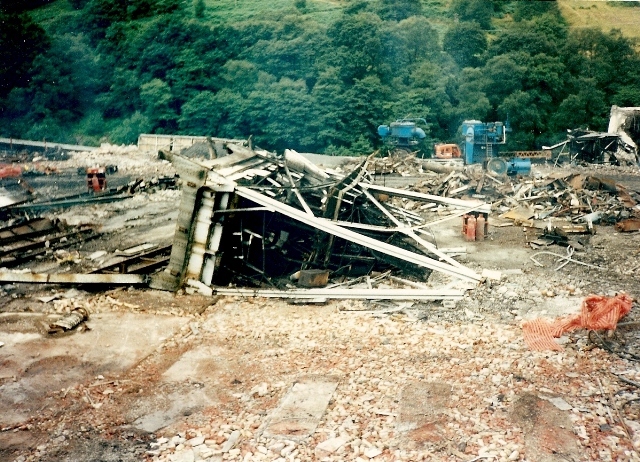 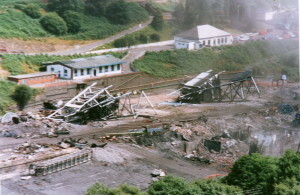 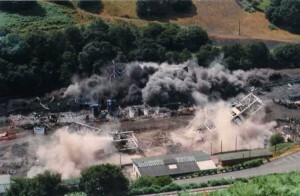 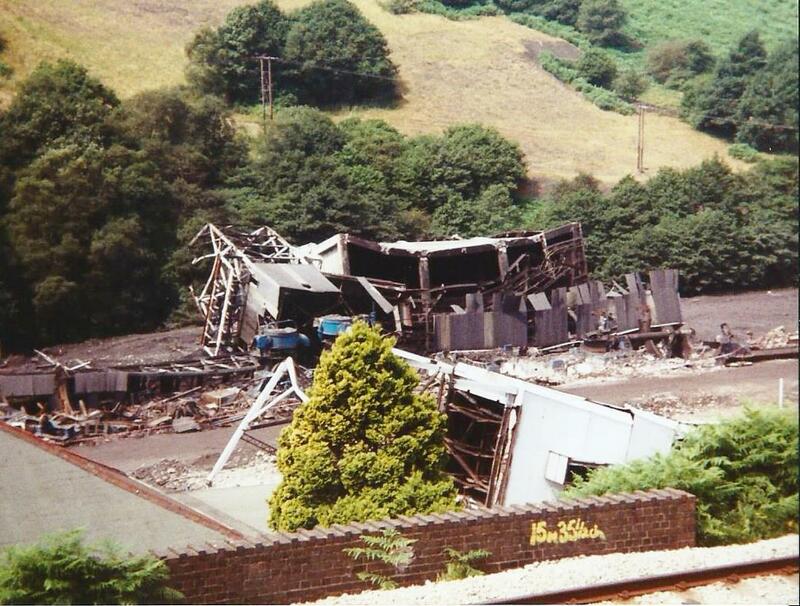 There was talk of a miners buy out but it never materialised and the winding gear was demolished by explosion on 22 July 1994. 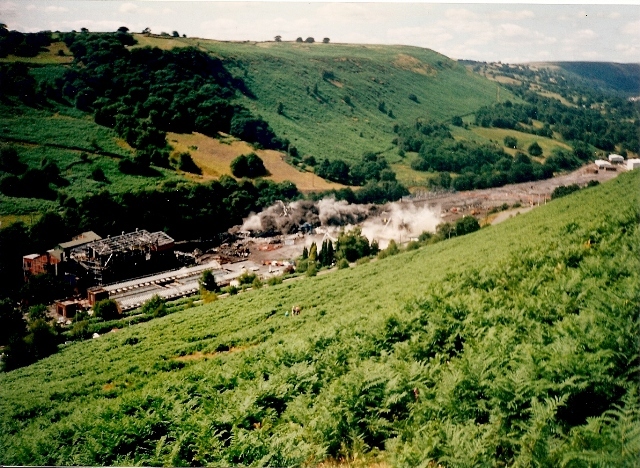 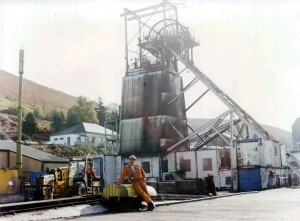 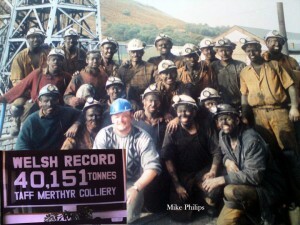 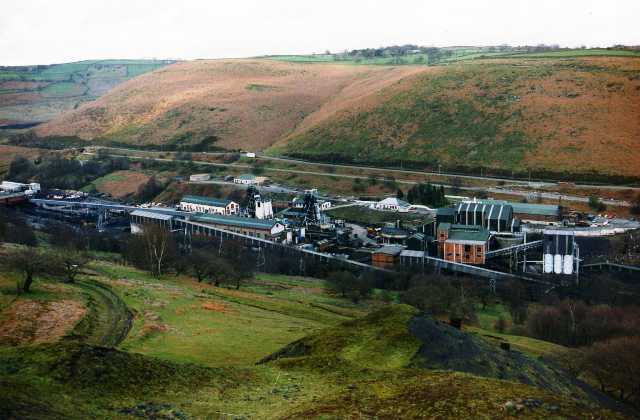 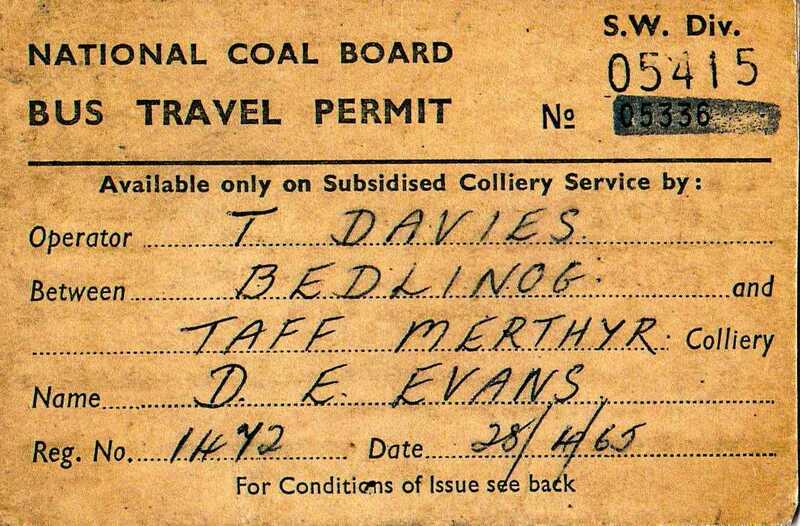 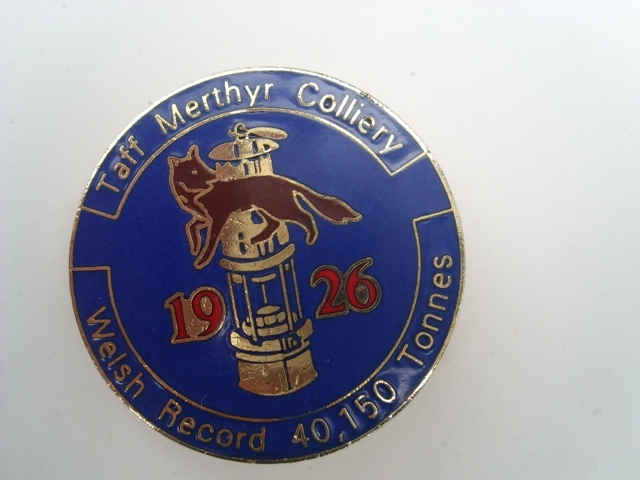 A Welsh mining record was set in Taff Merthyr colliery in September 1990 when in one week of continuous coaling, cutters travelled 234 feet and six inches to produce 40,151 tons of coal, a Welsh record for a week’s mining. 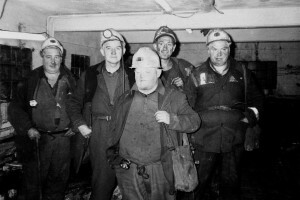 I lost my right leg in a mining accident on the B4 face during May 1978, many other men suffered serious injury working at the mine and we must never forget the many fatalities that happened during the near 70 years the colliery existed, may they all rest in peace but there were also many happy times and a camaraderie that is impossible to explain to people who live outside mining communities, something that will always be a part of the lives of the people who worked at this great pit, memories and friendships that no government can ever take away from us. 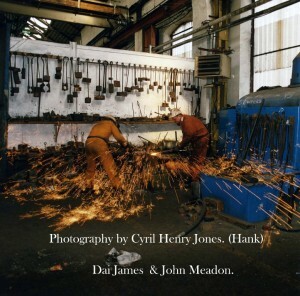 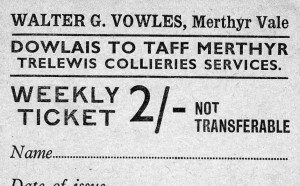 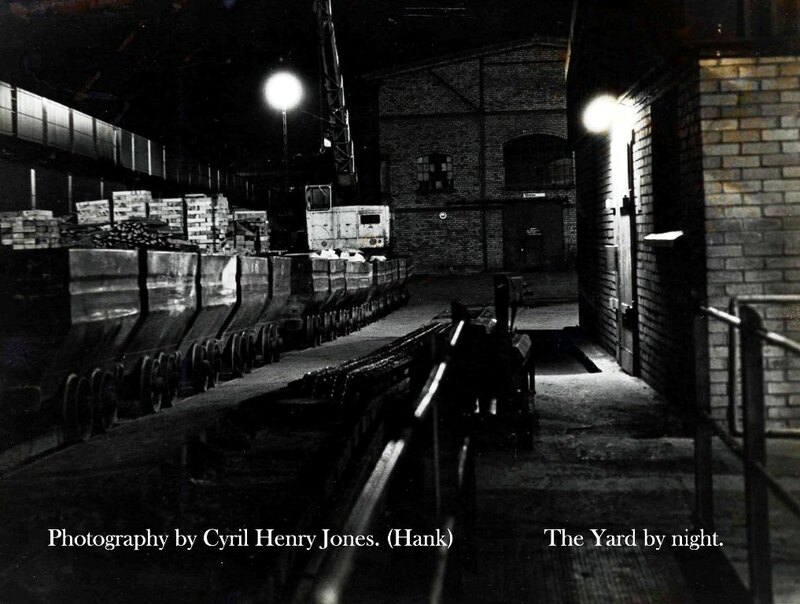 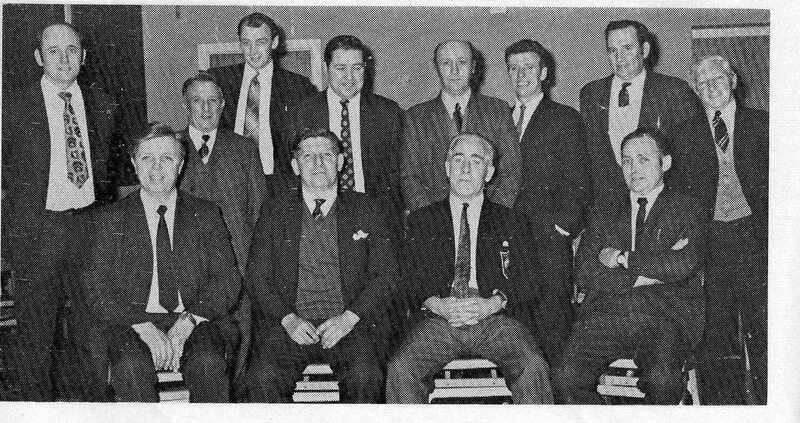 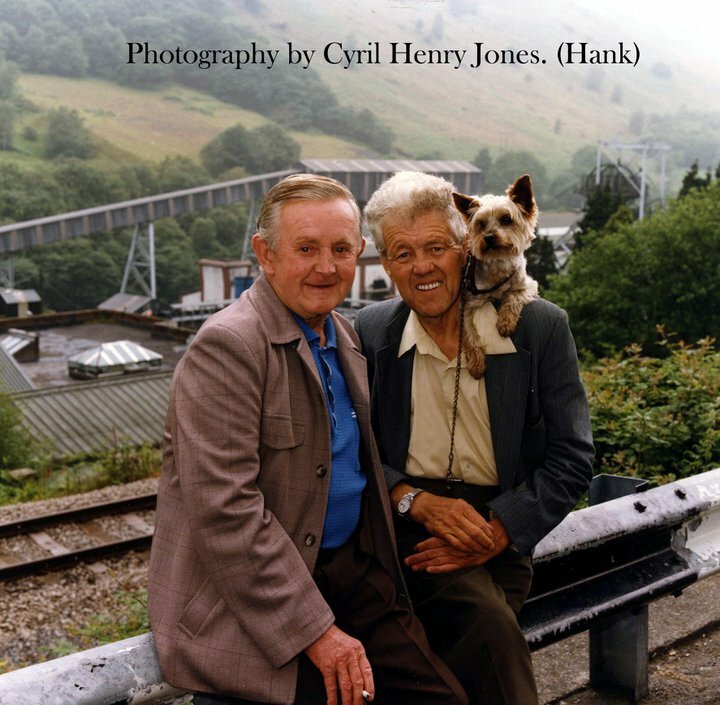 The next section of the Taff Merthyr pages was produced thanks mainly to Cyril Hank Jones, our former banks man at Taff Merthyr. 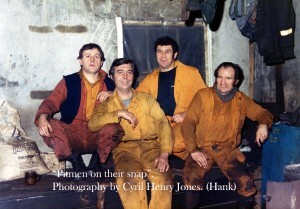 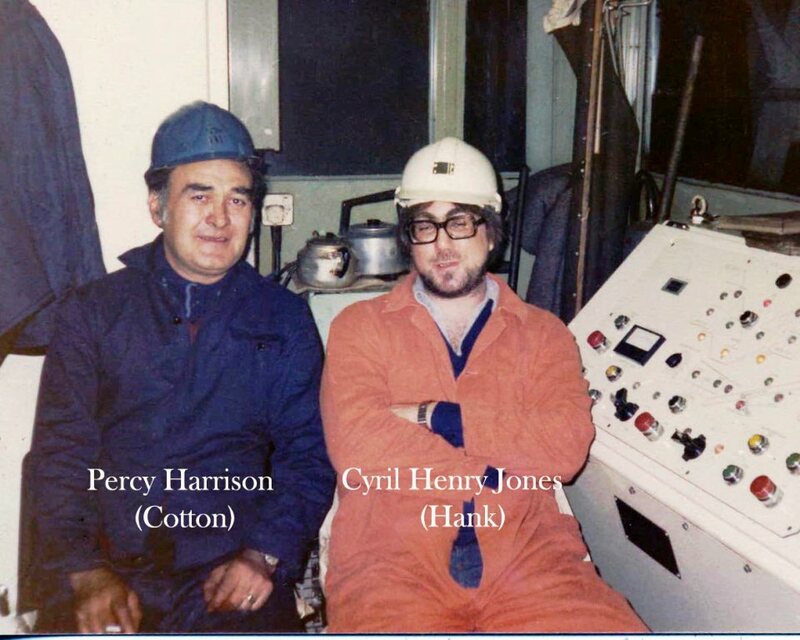 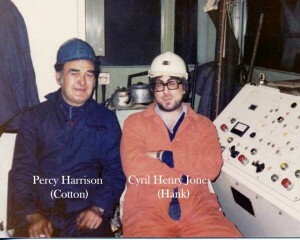 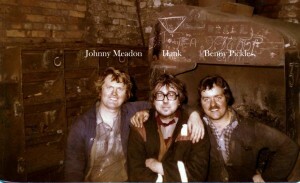 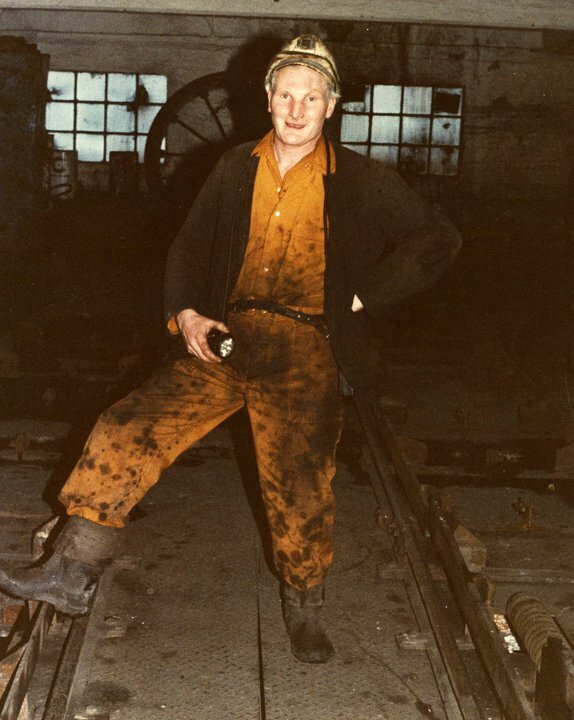 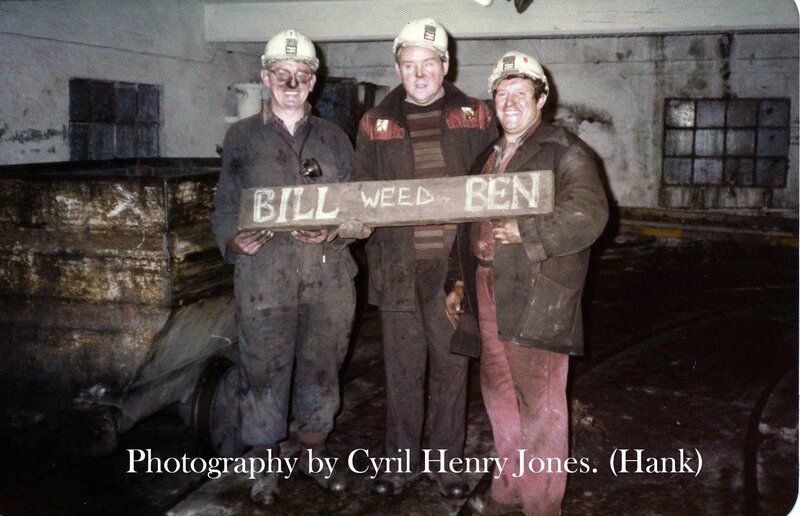 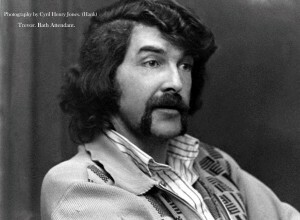 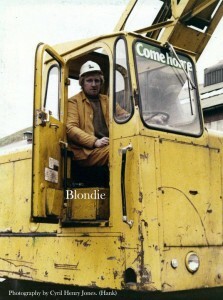 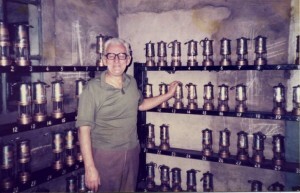 Hank will be known to most of the men that worked at the colliery between 1963 and 1989. 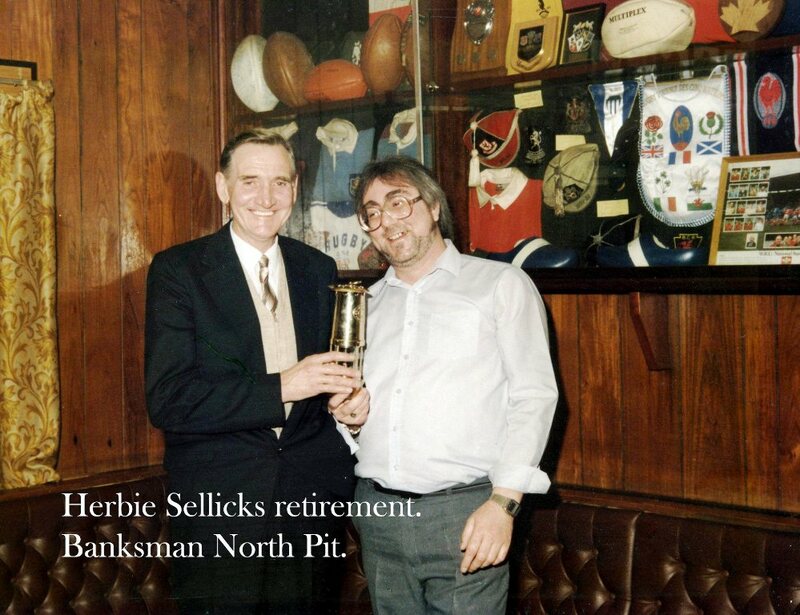 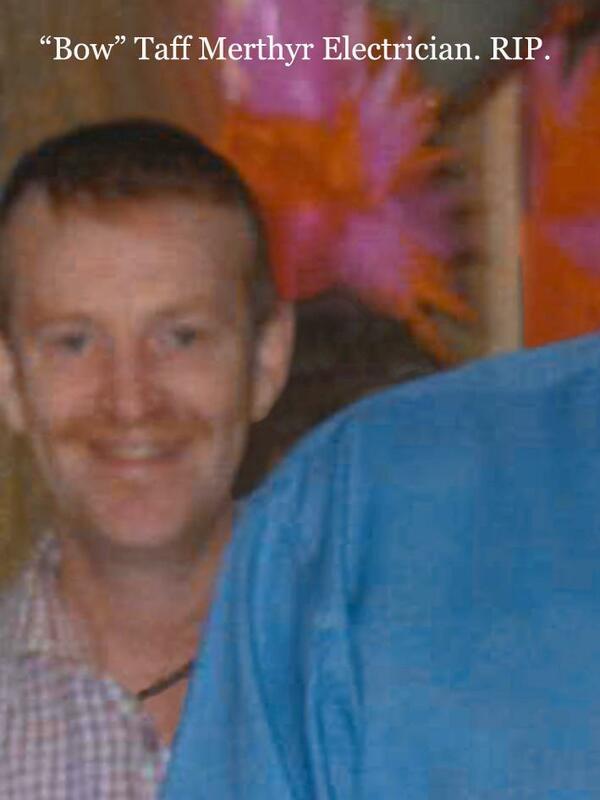 A great character at the pit who often played pranks on the lads. 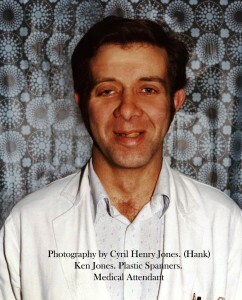 Hank was also a keen photographer and weddings are his speciality. 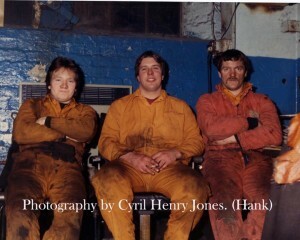 Amongst the next set of photographs and memories we will see many items donated to the site by Hank..all much appreciated. 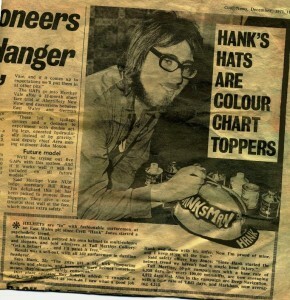 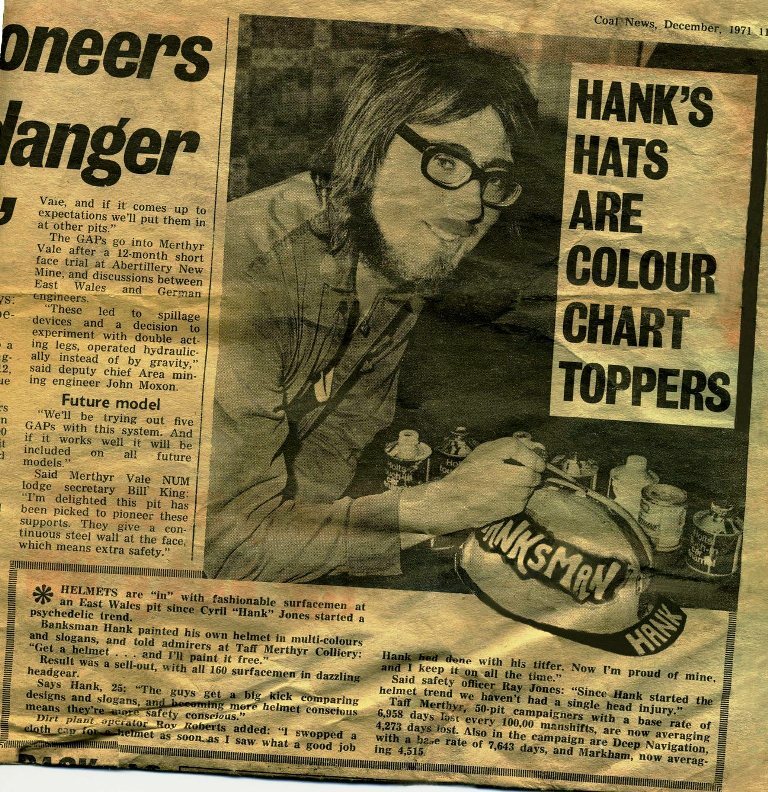 Above we see a copy of the coal news featuring Hank and his painted safety helmets. 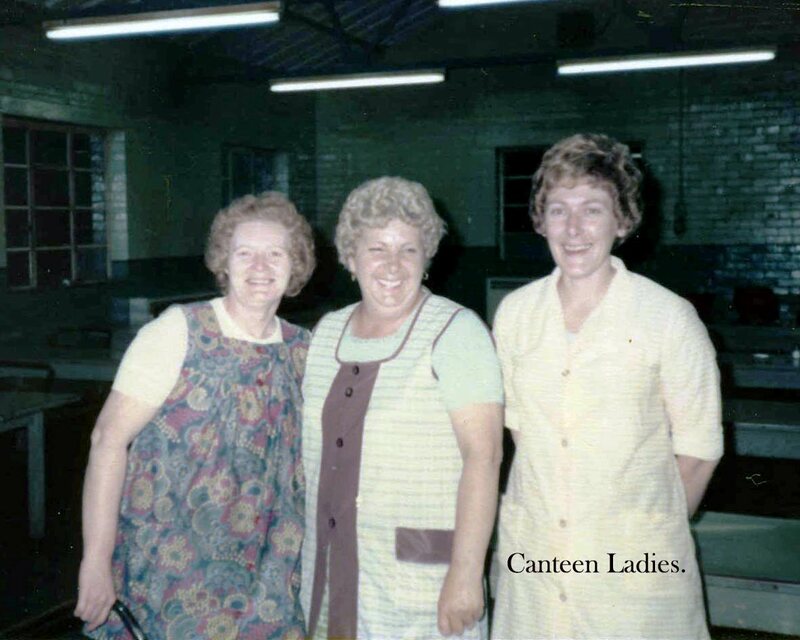 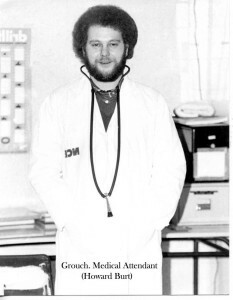 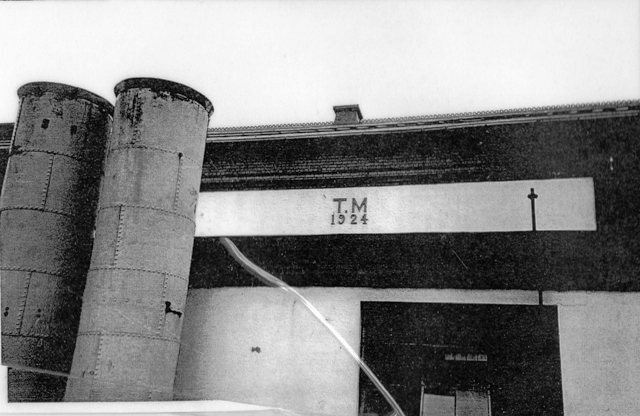 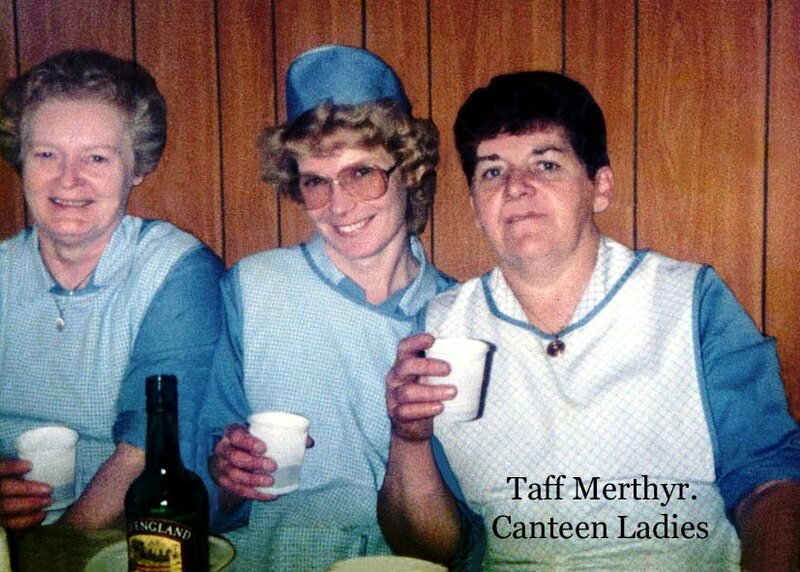 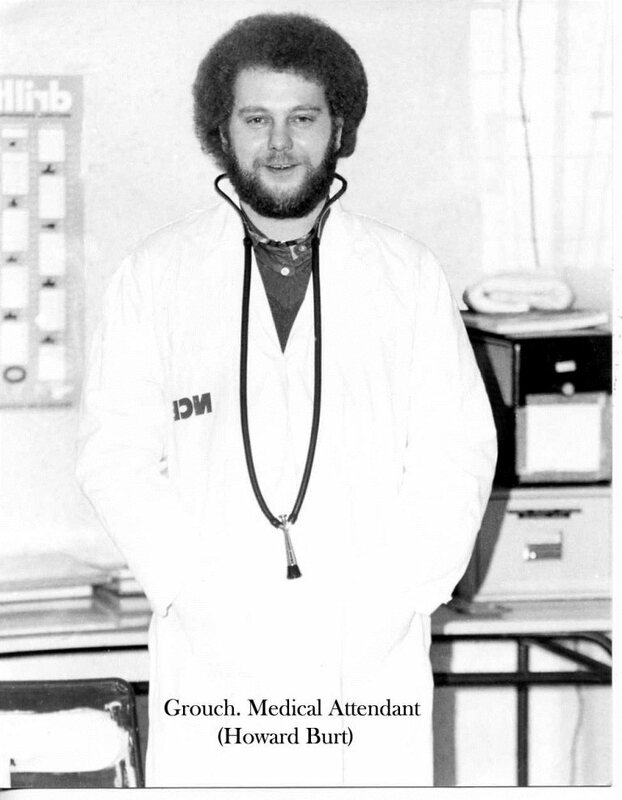 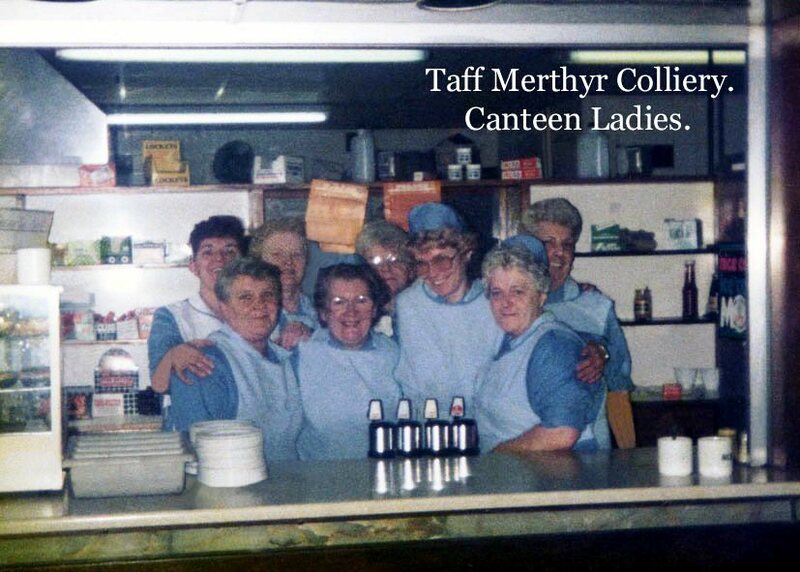 I Started work as a trainee at Taff in 1976 but it was the Pit head baths in Taff Merthyr where I ended up working after my accident,in the work wear department. 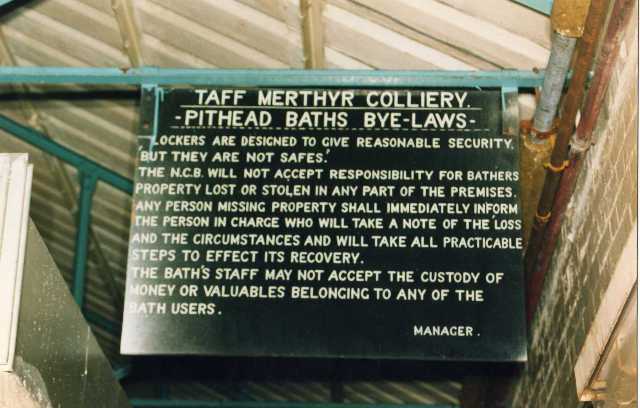 I started in the baths in 1985. 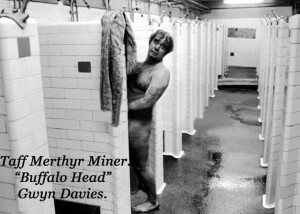 Some of the people I remember from the baths was Jimmy Luckwell (1976) Tabs,Terry Ford, Andrew Price,Trevor, Patrick Kelleher, Mike Thomas, Derek Ivor Williams,Gary Cooper,Fussell, Keith Batten and “Bullet” in the lamp room, Jimmy Jenkins in the dotto office with Gwyn Rees, and later young Adie Gibbons, Dai Miles, Des Eynon, in the work wear dept. Ken (plastic spanners) Gareth Coles, Grouch and John Dickman in the medical centre. 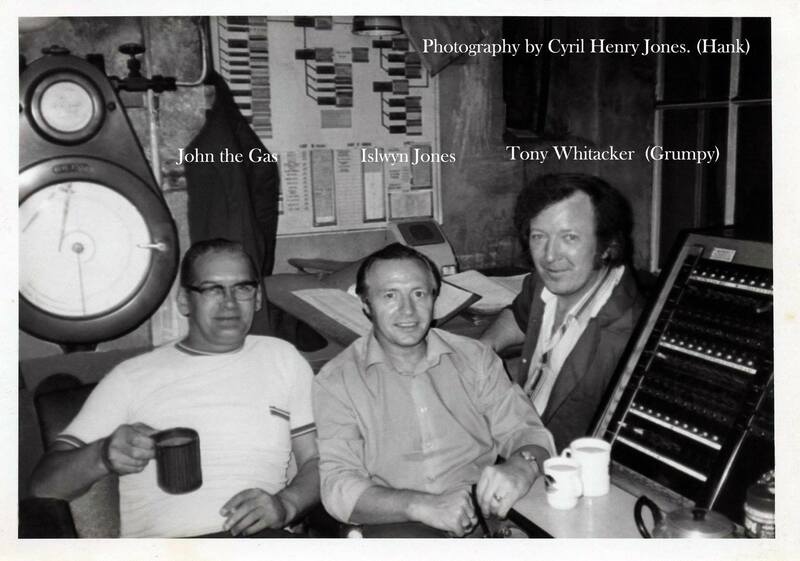 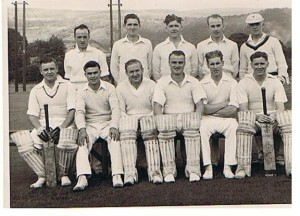 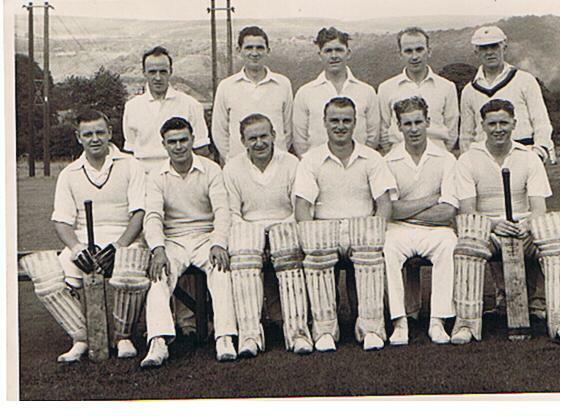 Great times, great blokes, some sadly no longer with us. Below we see some photographs Hank took of the men who used to work in and maintain the Baths buildings. 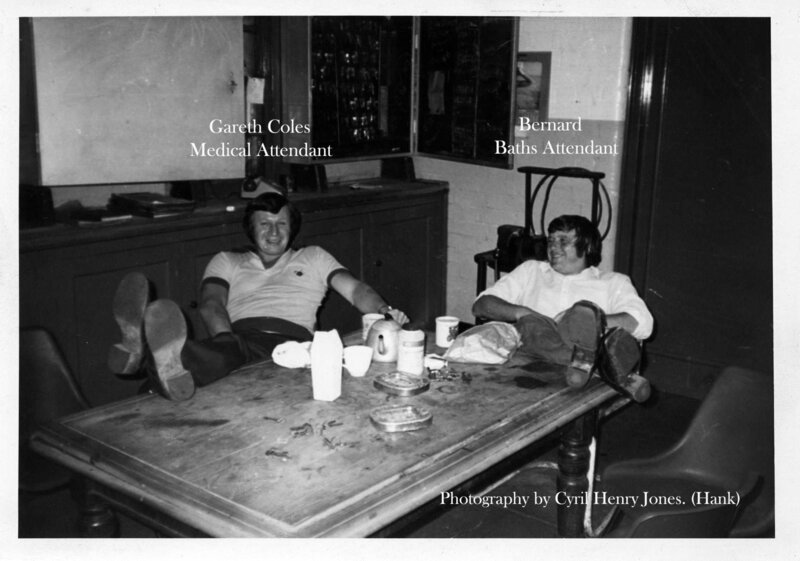 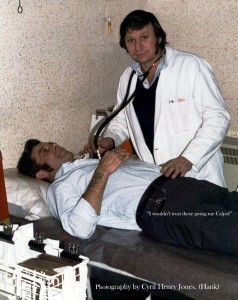 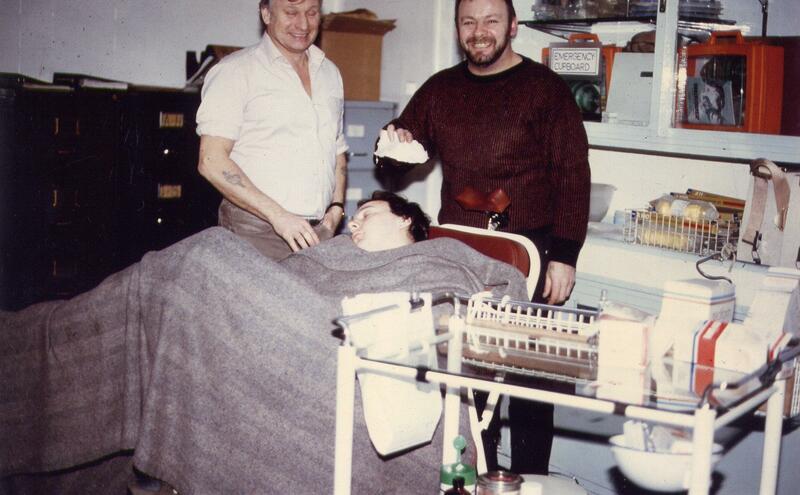 Gareth Coles and Doug Hughes, not sure who their patient is. 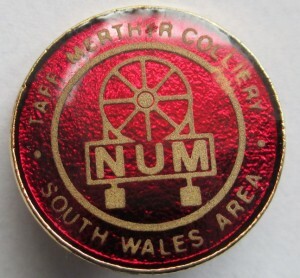 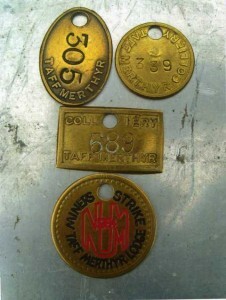 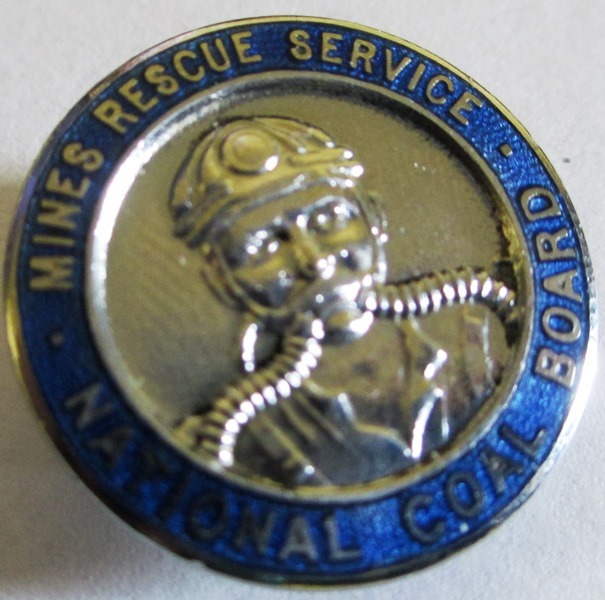 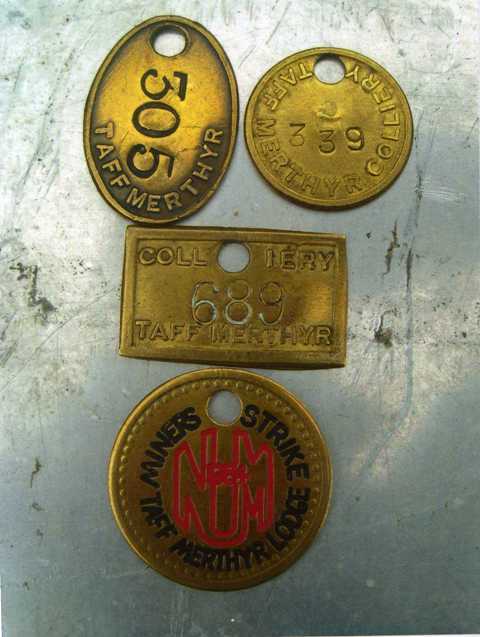 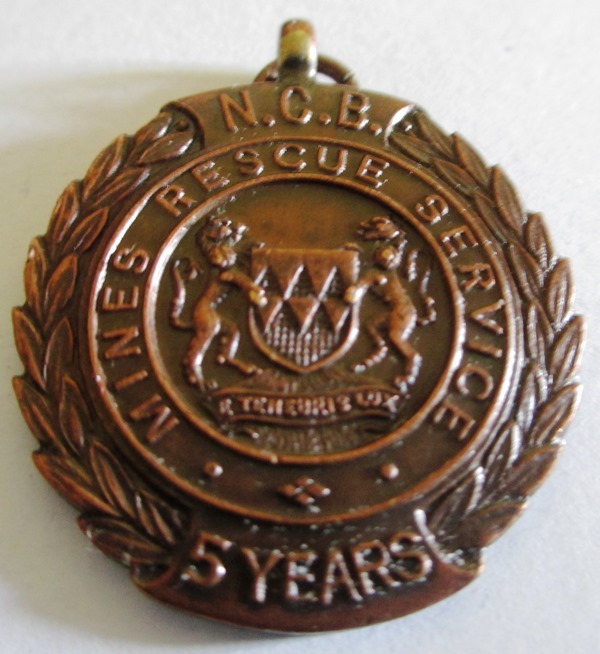 The next collection are courtesy of Clive Giles, they are badges he collected or were awarded to him as a member of the Mines rescue team and NUM. 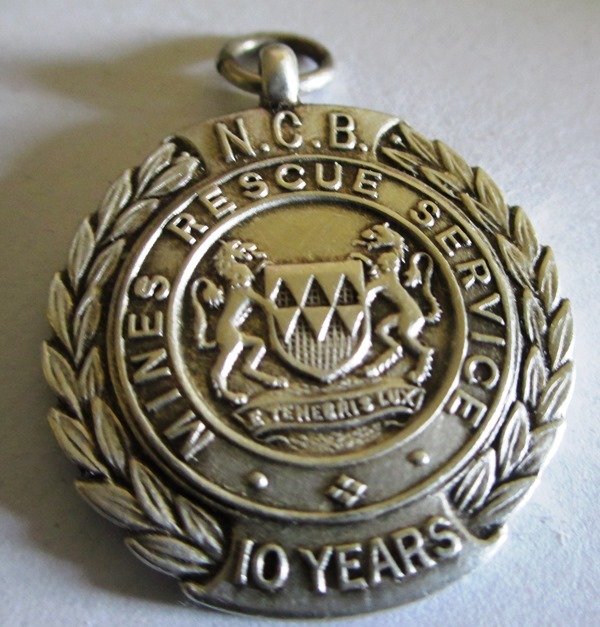 Clive Giles 10 years service badge. 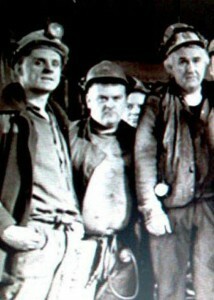 Lewis Jones,(Wallas brother),Jackie Bevan, Maxie Herbert. 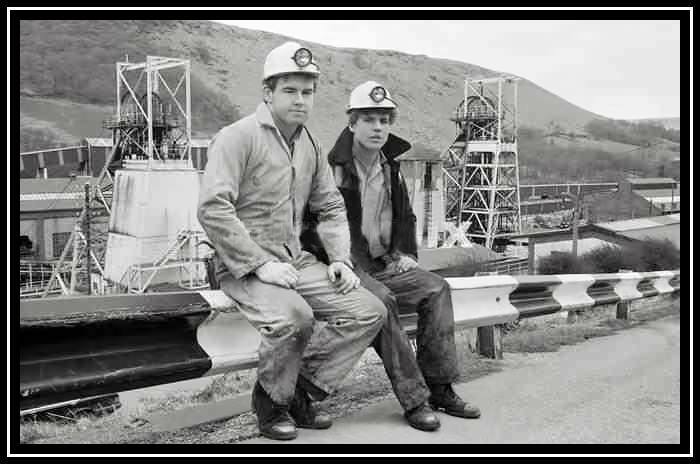 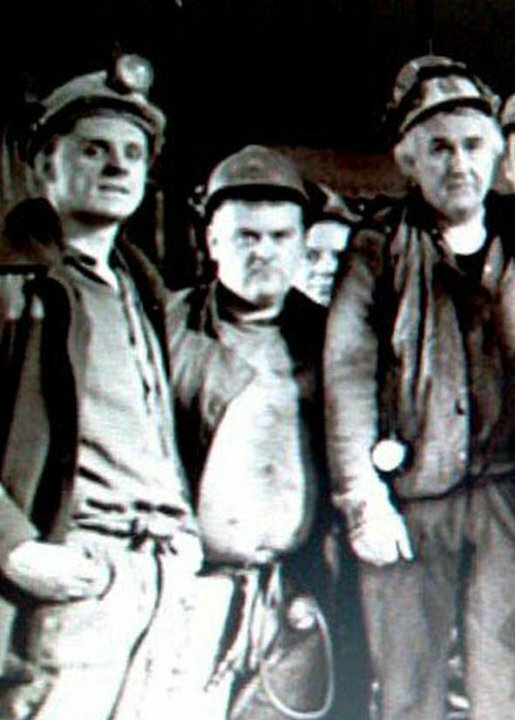 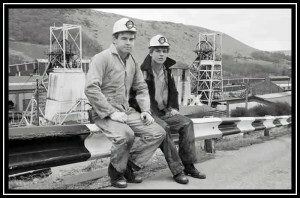 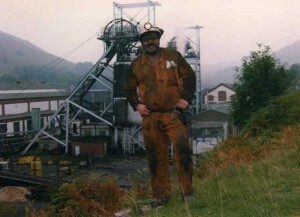 A miner at Taff Merthyr, looks a bit like Barry Yoxall but I am unsure. 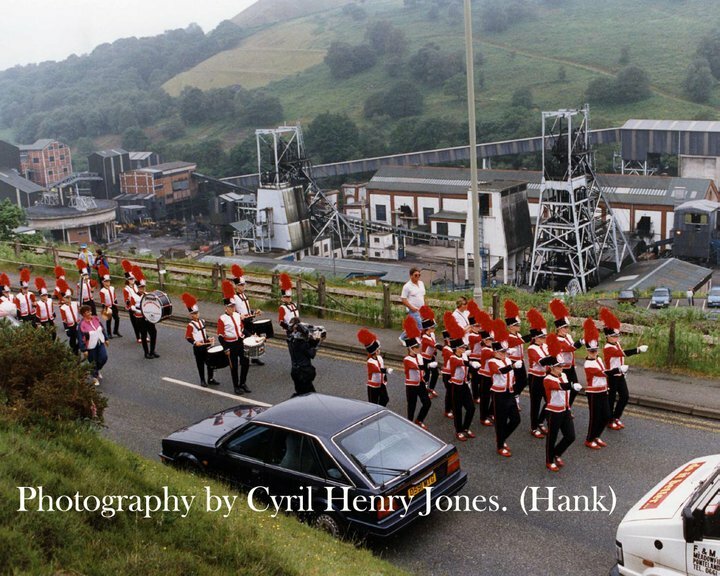 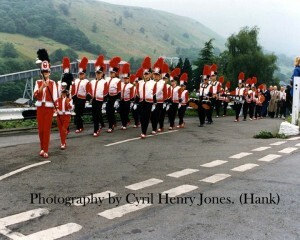 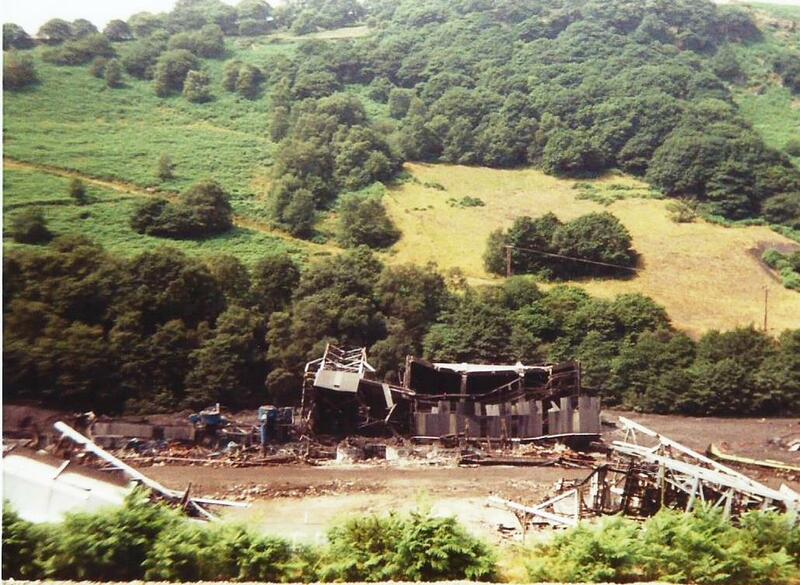 Taff Merthyr 1990 by Richard Williams. 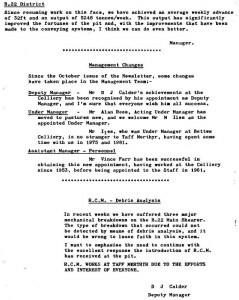 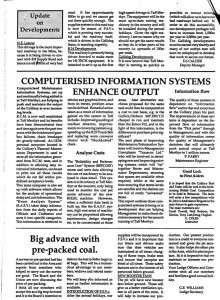 Below I have also added a page from December 1988 to the Issue…it was a loose page so I thought I would include it here. 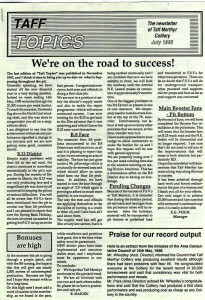 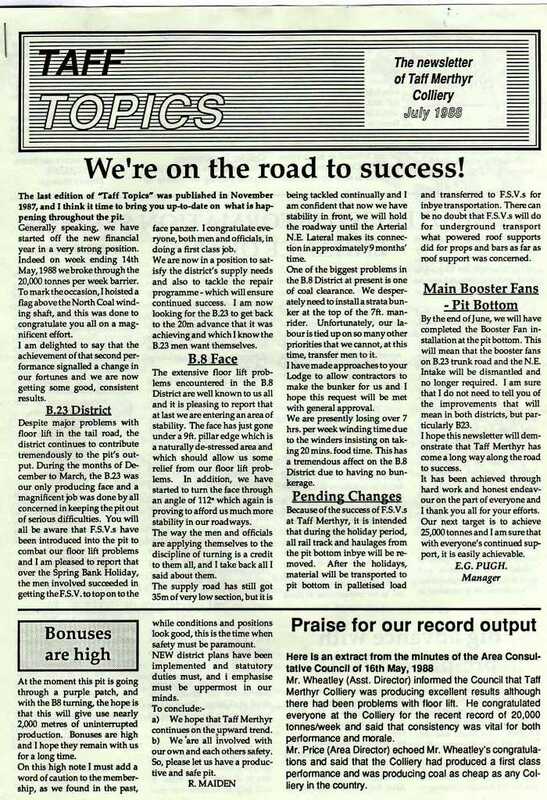 Robert Amos of Nelson has supplied me with a copy to put on this site…it really brings back memories for me, hopefully it will for you too.The four page issue follows the single sheet. 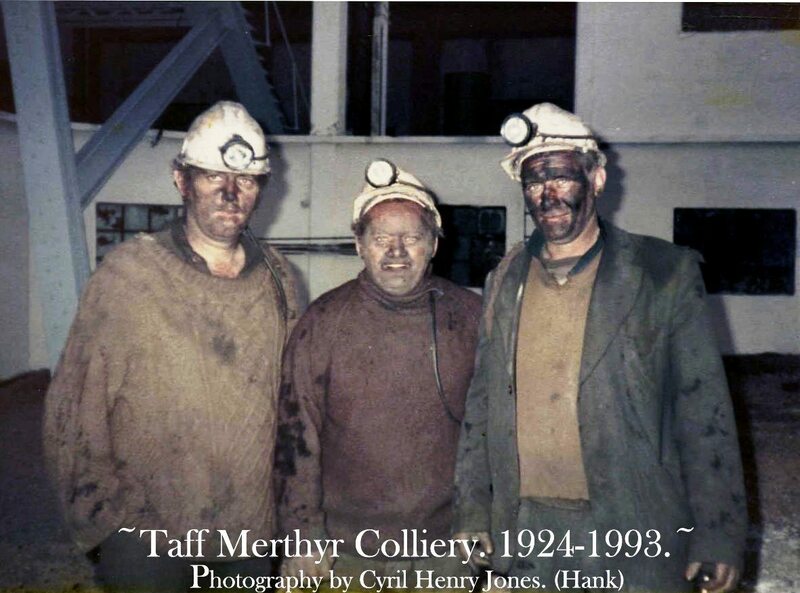 The set of pictures you are about to view were taken on the days leading up to and including the day that Taff Merthyr Colliery was demolished. 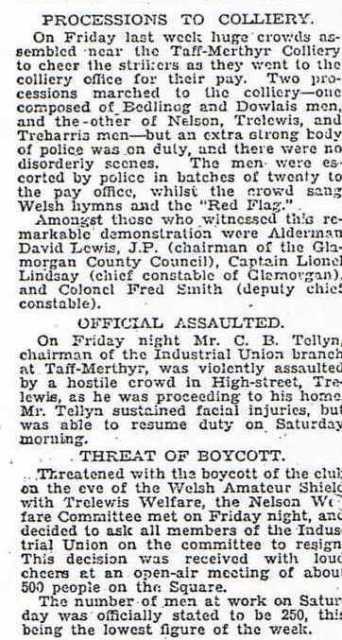 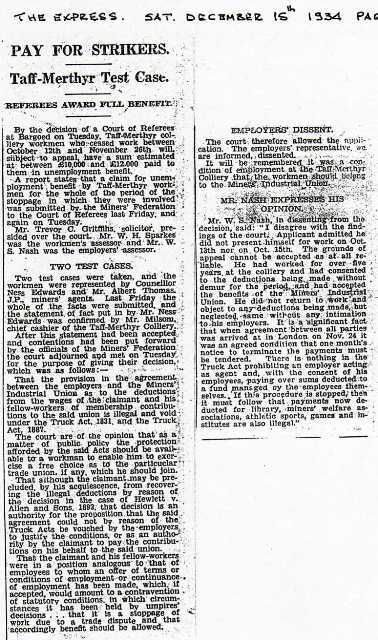 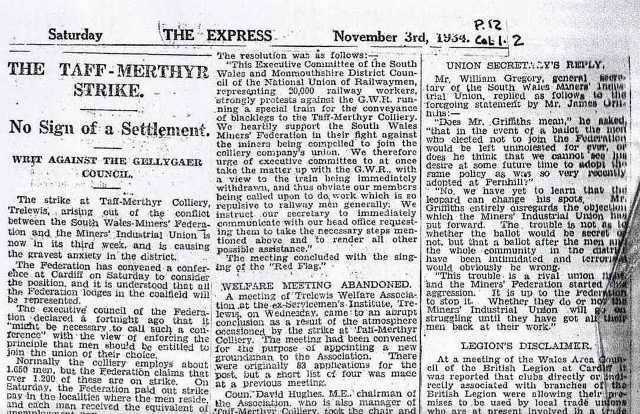 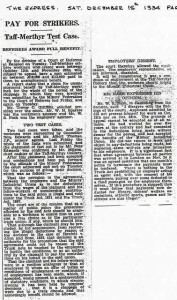 The following are extracts from the local newspapers during the hostile dispute at the colliery in 1934.